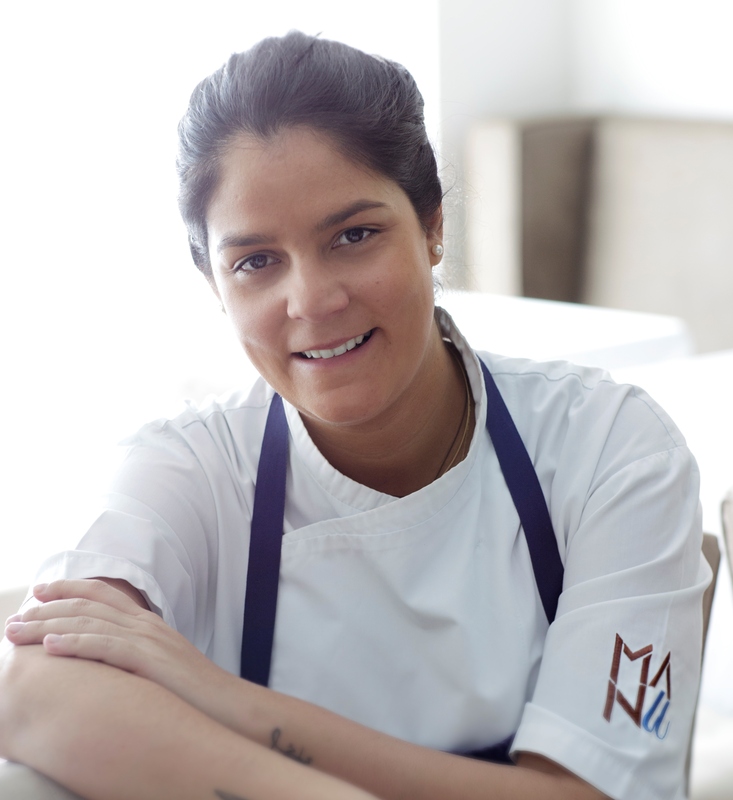 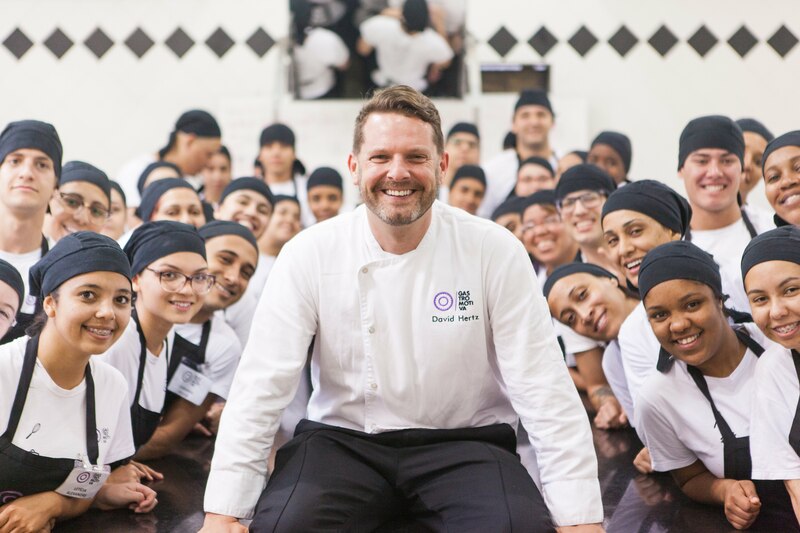 A generation of international chefs have now expanded their role in society and redefined their profession by reaching a broader sphere of influence beyond the kitchen. 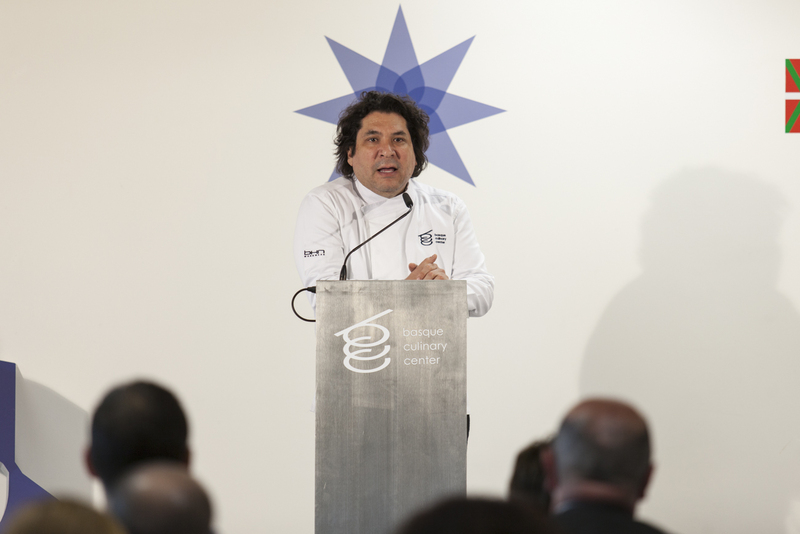 All over the world, chefs have come to understand that they can use their knowledge, leadership, entrepreneurship and creativity to be part of the transformation of society. 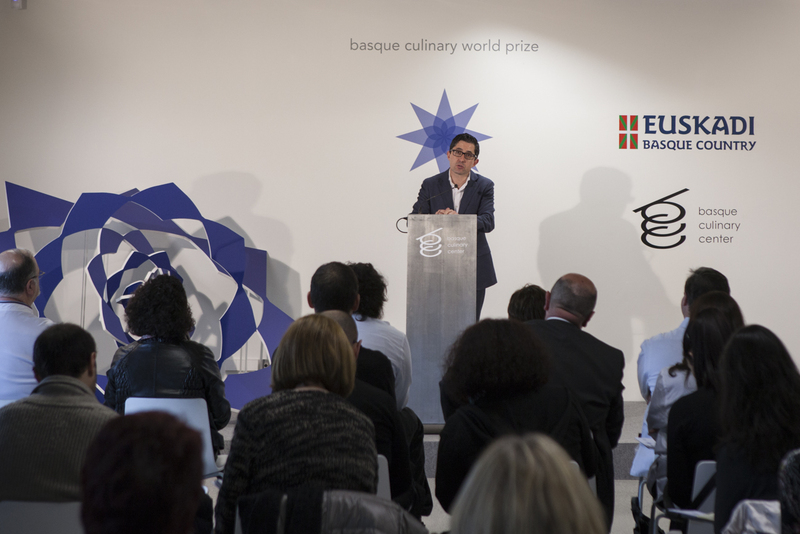 The Basque Culinary World Prize was created to celebrate this evolution: to highlight the diversity and scope of this phenomenon in which gastronomy has come to be a powerful force for change. 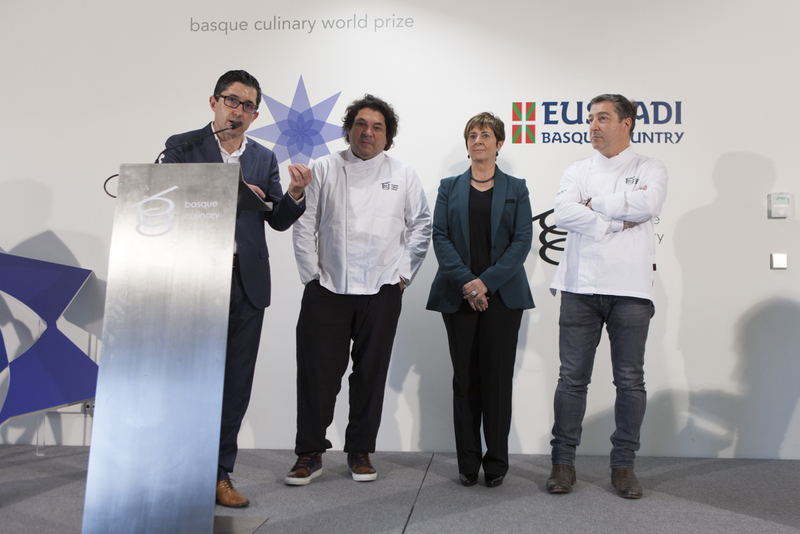 This prize celebrates a chef of any nationality who demonstrates how gastronomy can have a positive impact in fields such as culinary innovation, health, nutrition, education, the environment, the food industry, social or economic development, among others. 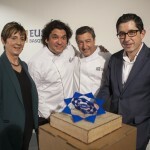 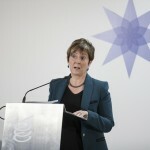 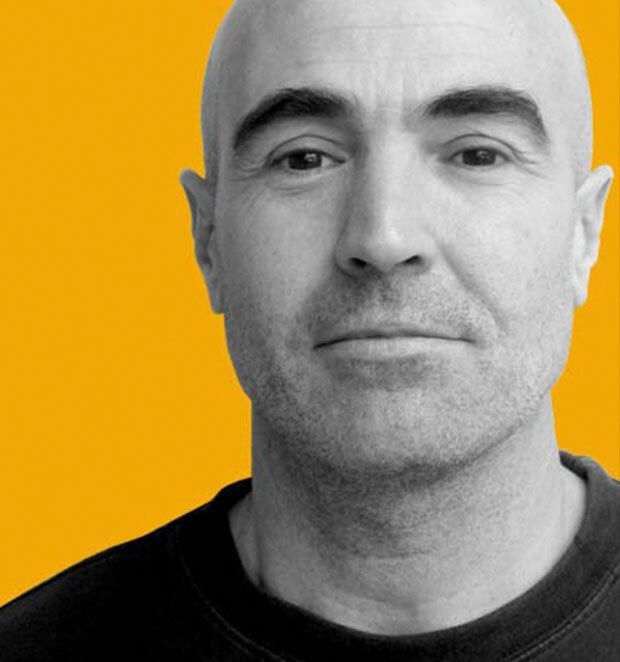 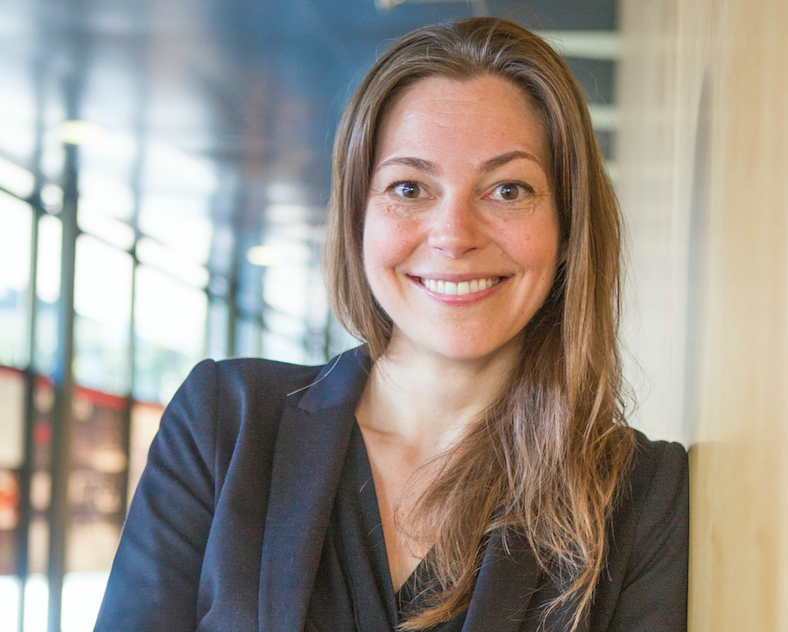 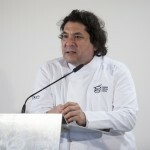 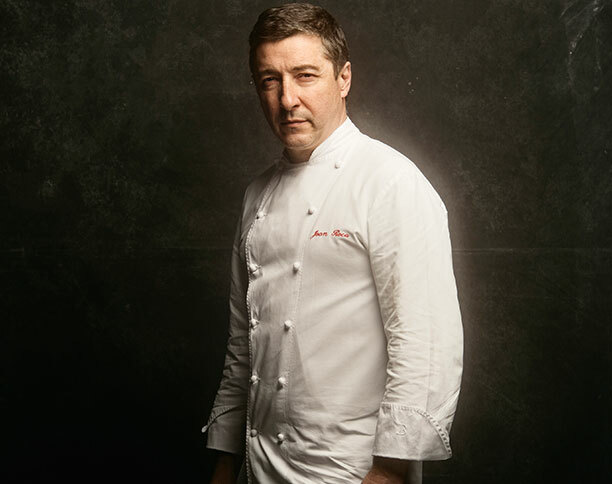 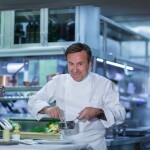 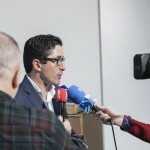 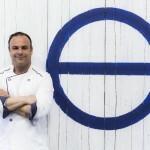 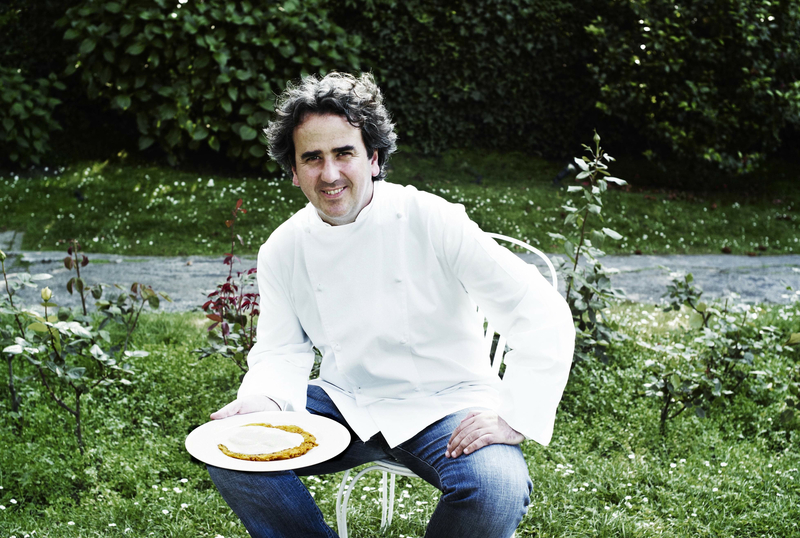 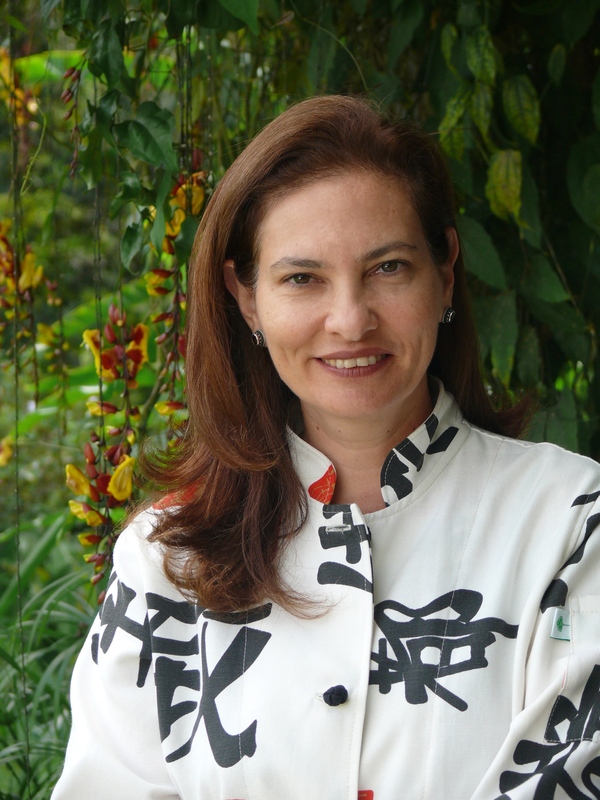 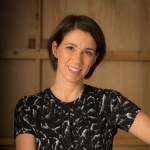 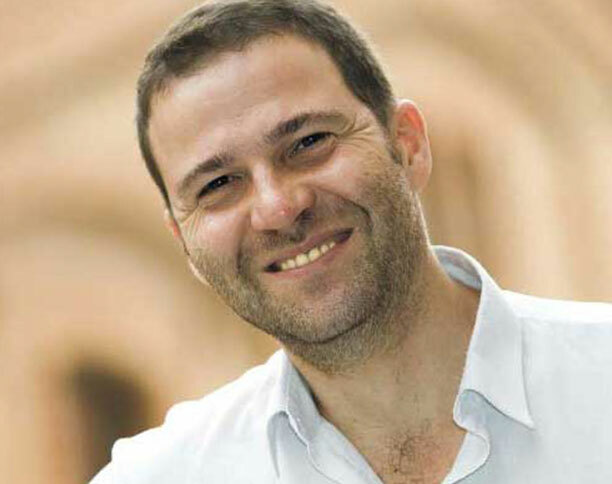 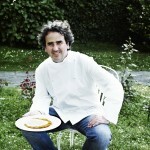 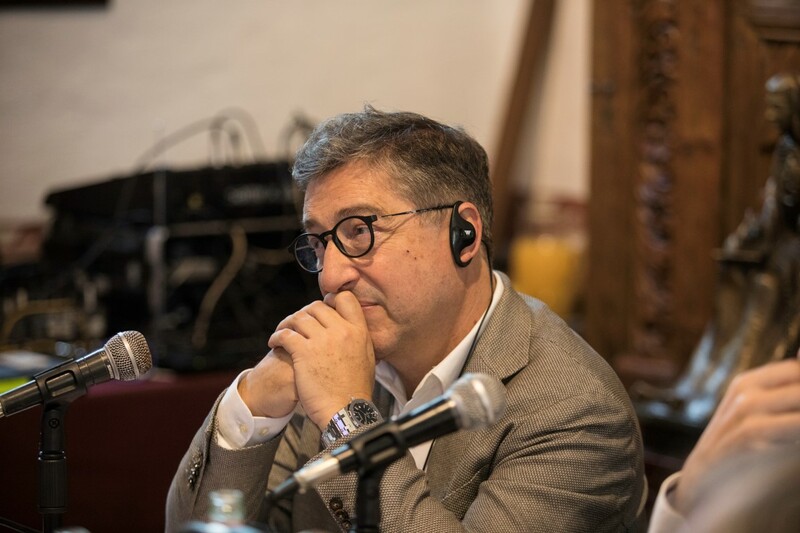 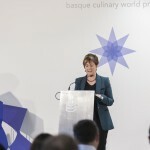 Every year an interdisciplinary jury, featuring some of the world’s most influential chefs, academics and experts, chooses the candidate who best embodies the mission of this unique global award, granted and promoted by Basque Culinary Center (BCC) and Basque Government through the framework of the Euskadi-Basque Country Strategy. 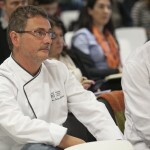 Do you know a chef like this? 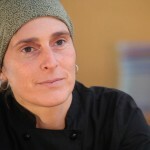 Nominate him or her here. 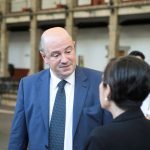 For more details, see our frequently asked questions. 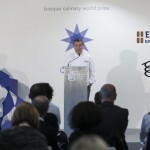 The call for culinary professionals to nominate candidates begins. 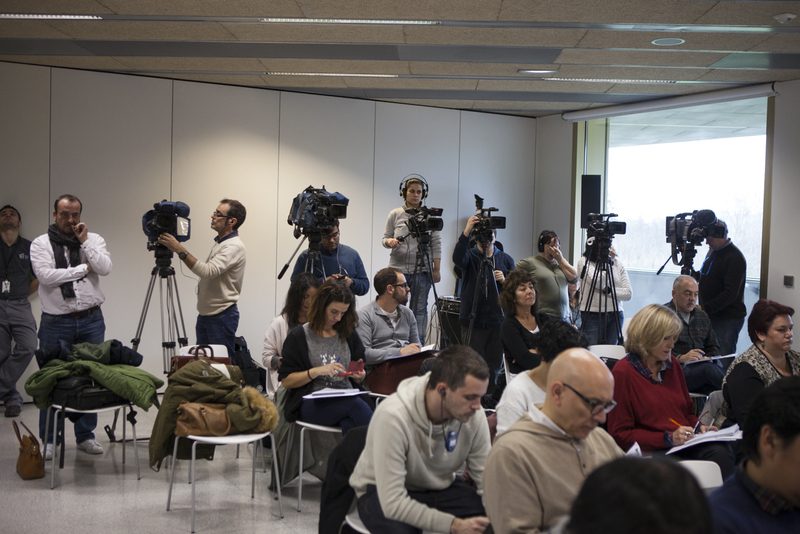 Nominations are submitted to the Technical Secretariat that verifies the nominees meet the award criteria. 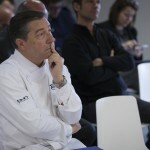 The Technical Committee reviews candidate profiles. 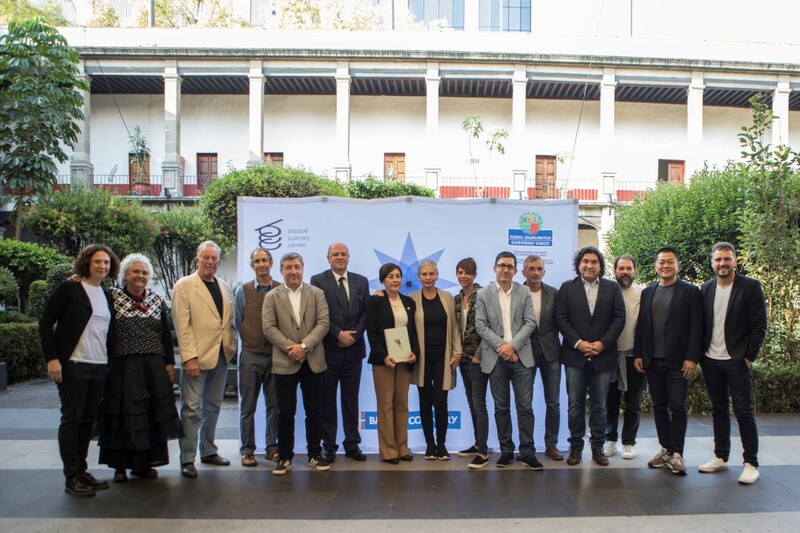 Then the Committee chooses and announces 10 finalists. 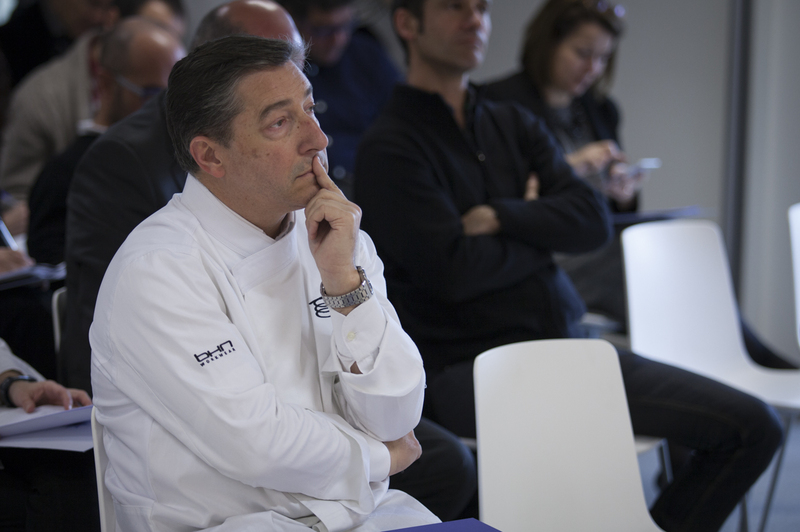 The BCWP Jury deliberates to choose and announce the winner. 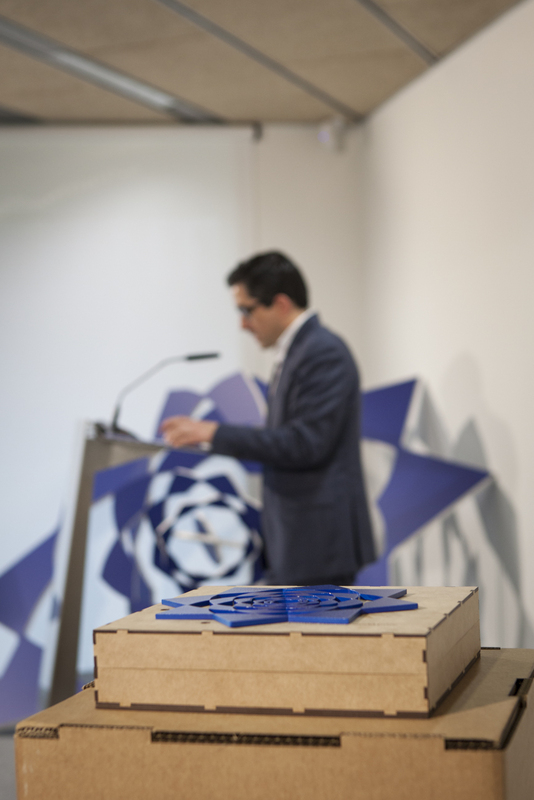 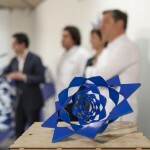 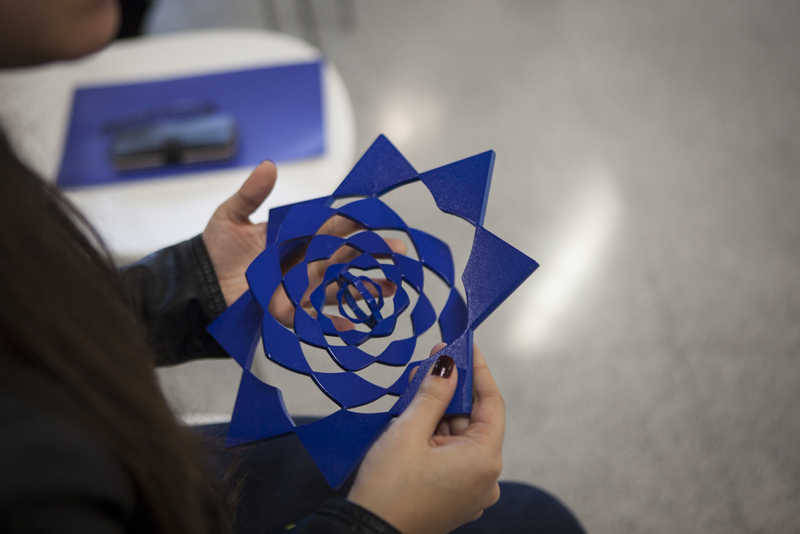 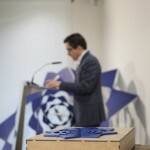 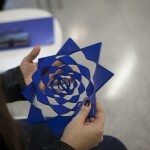 The winner receives the award from Basque Government authorities at a special event held in the Basque Country. 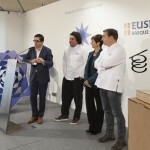 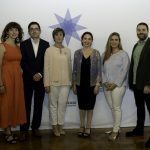 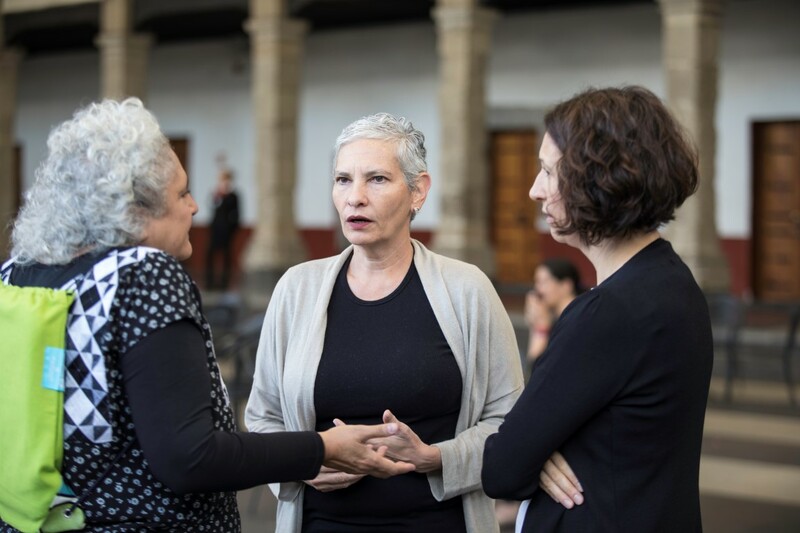 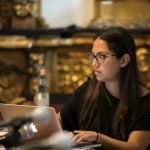 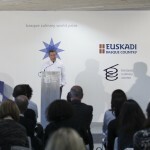 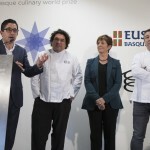 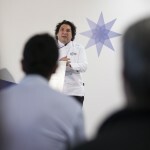 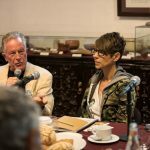 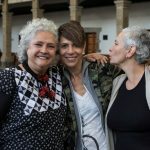 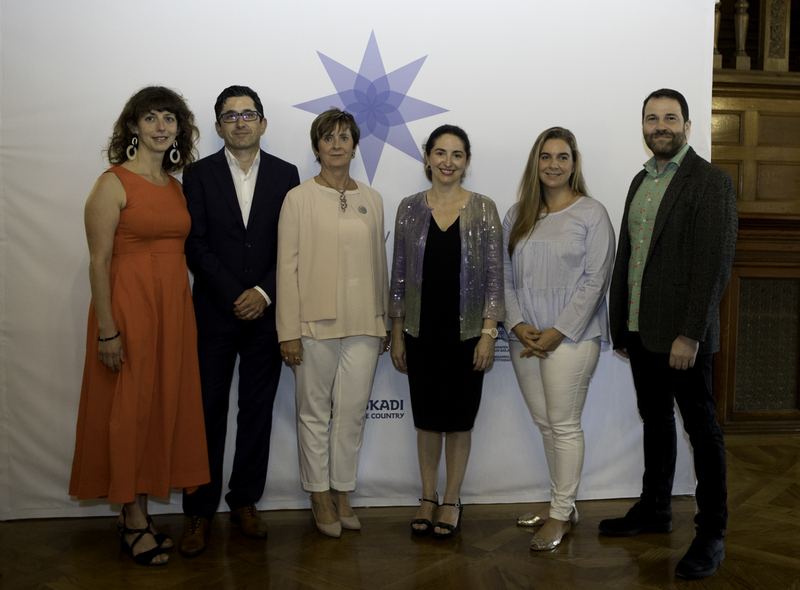 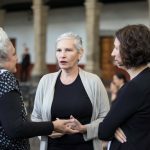 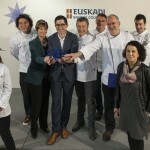 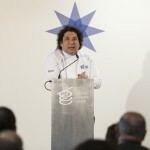 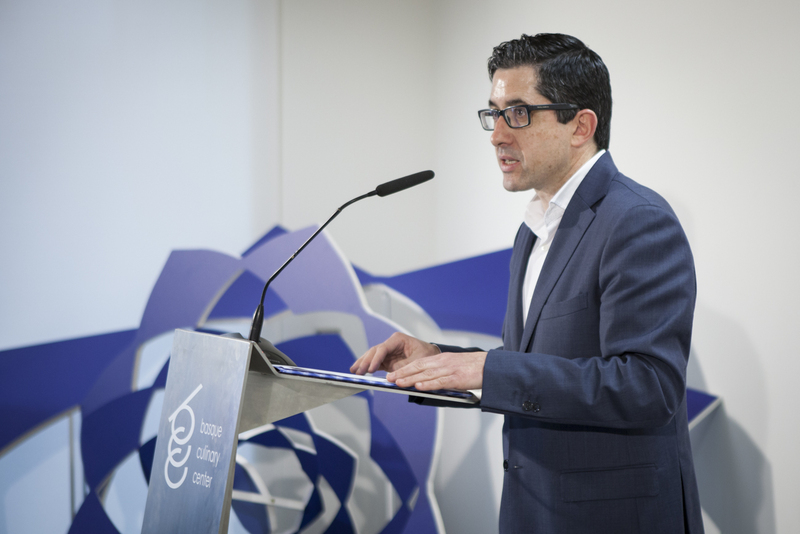 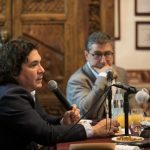 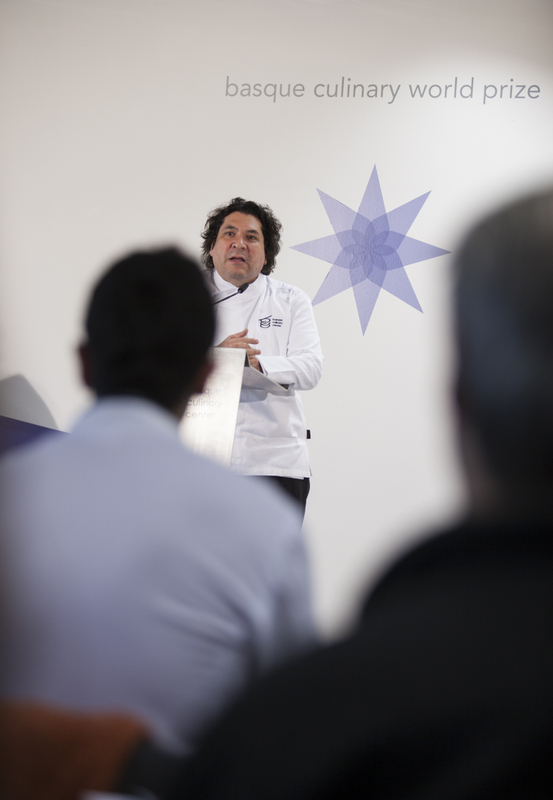 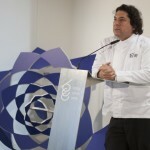 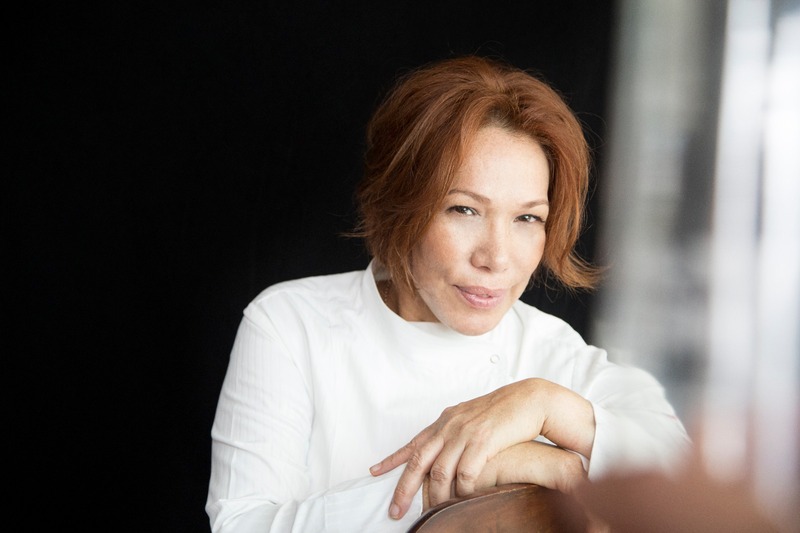 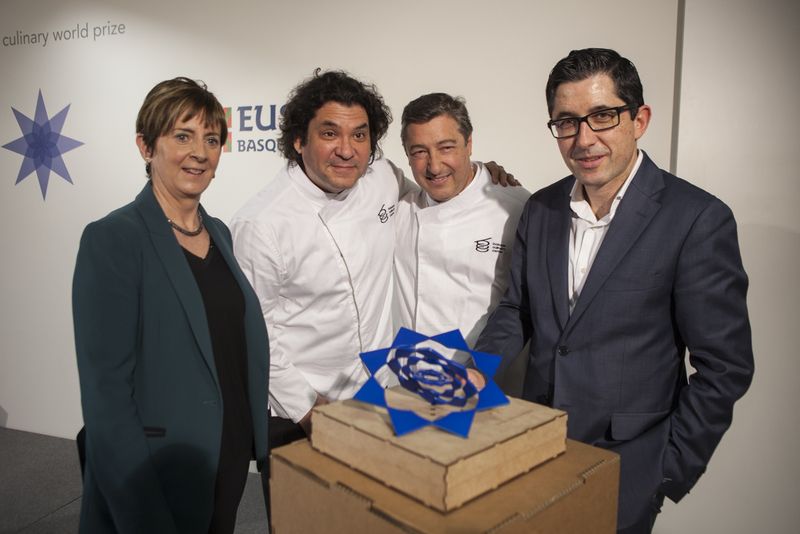 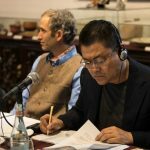 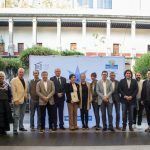 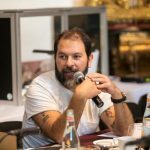 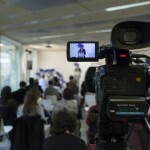 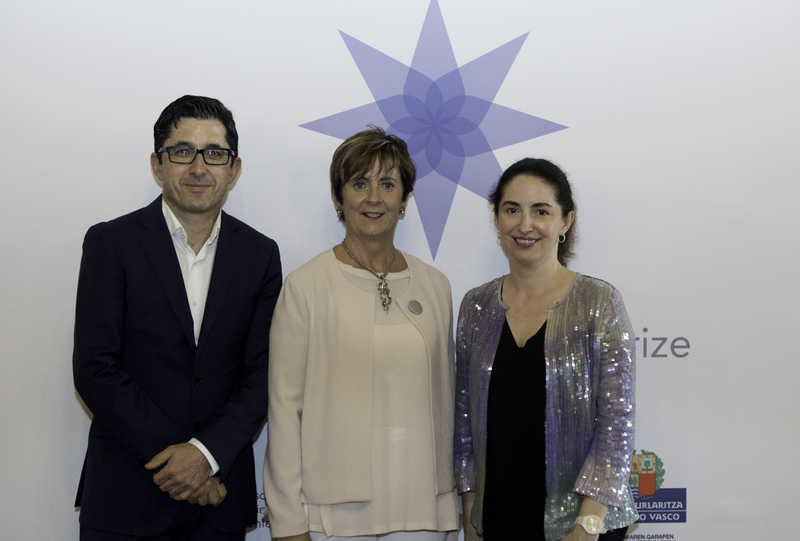 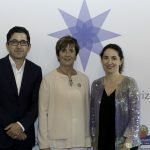 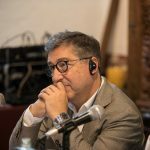 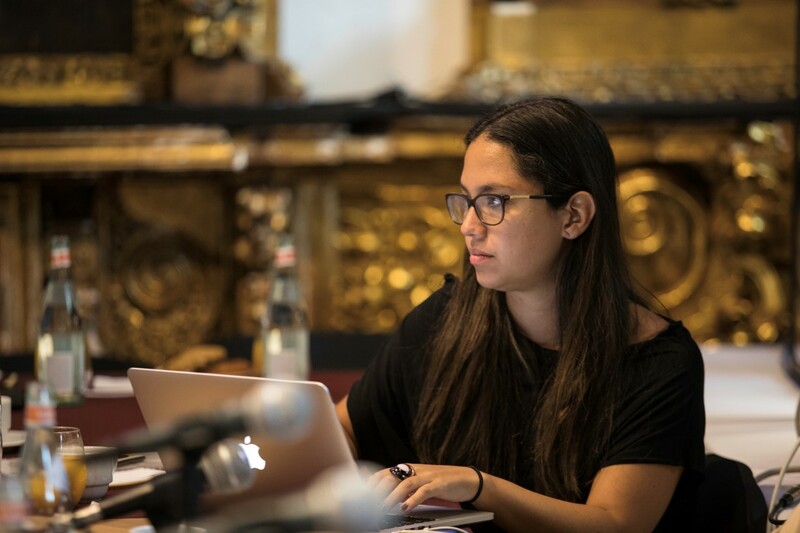 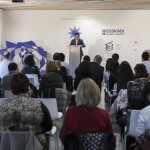 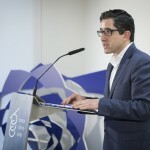 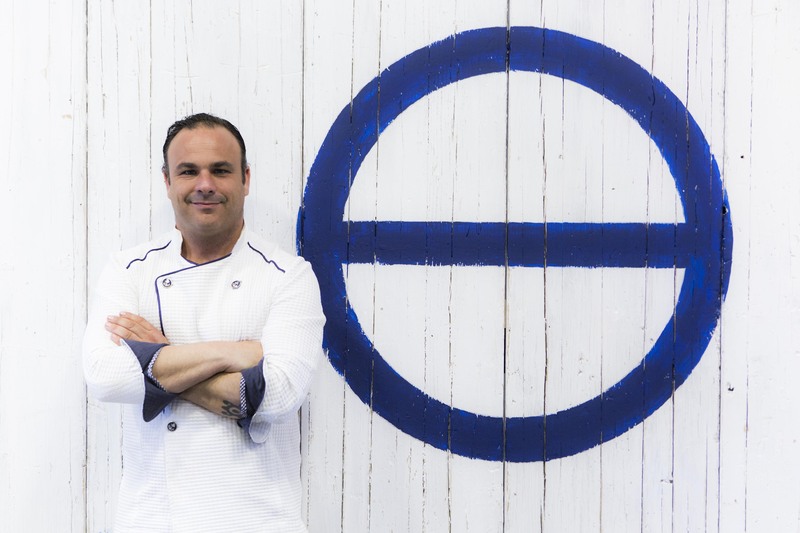 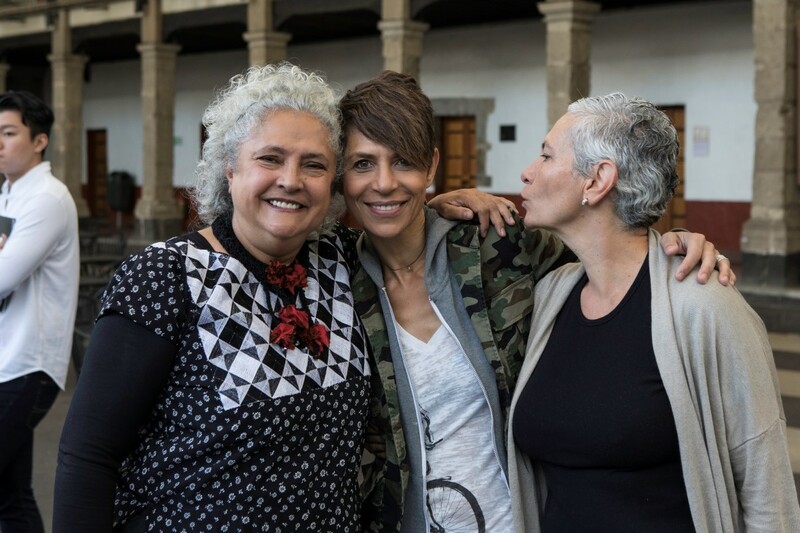 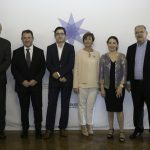 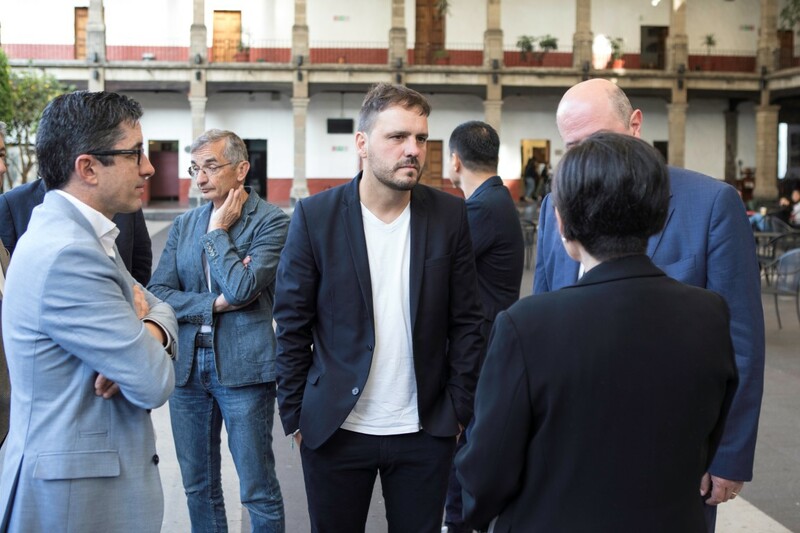 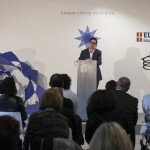 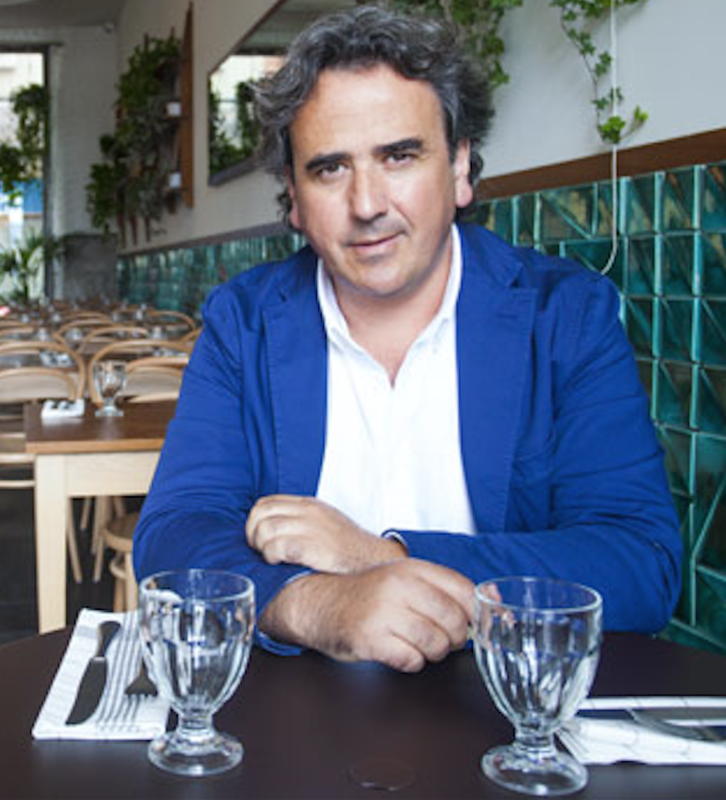 The Basque Culinary World Prize will allocate 100 thousand euros to a project chosen by the winner, which expresses the transformative power of the kitchen. 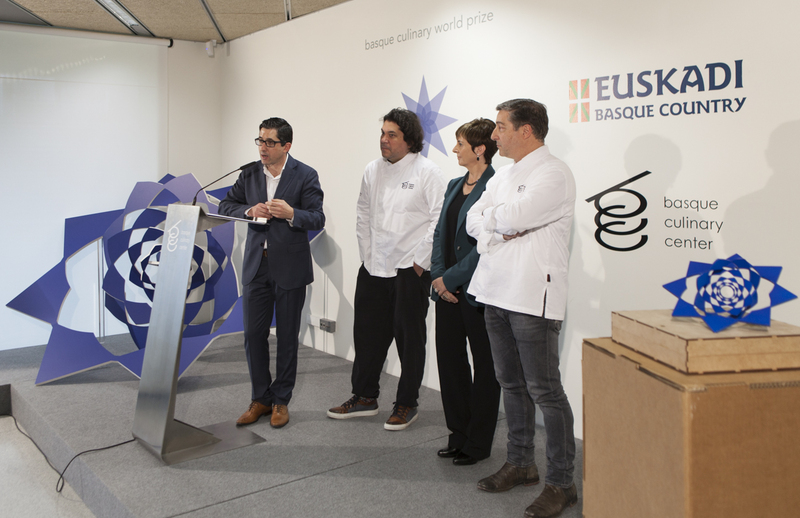 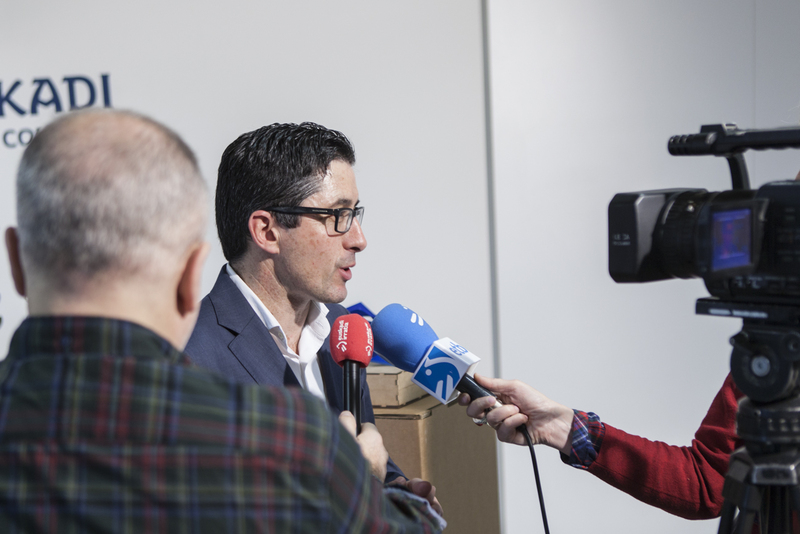 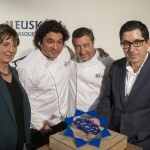 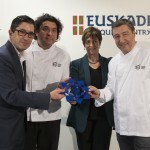 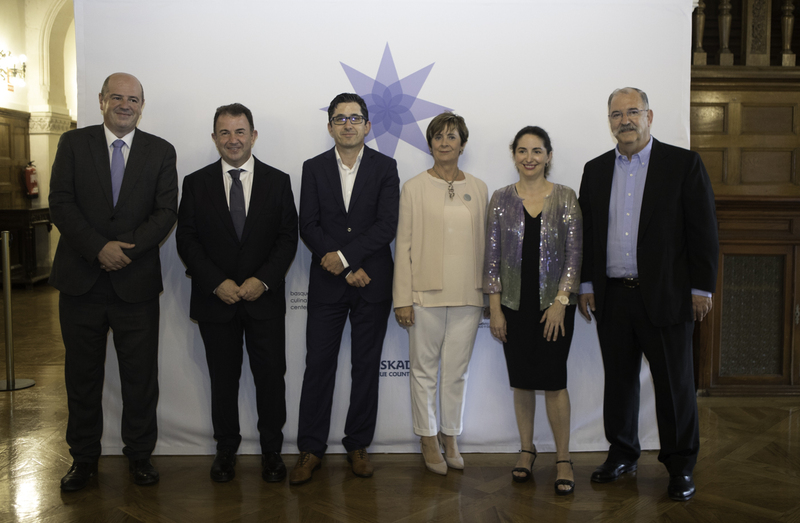 The prize is granted and promoted by Basque Culinary Center (BCC) and Basque Government through the framework of the Euskadi-Basque Country Strategy. 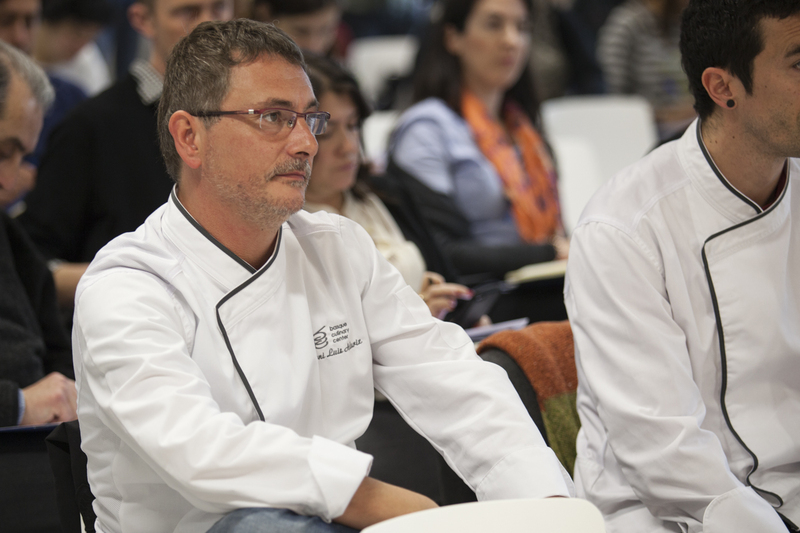 BCC is one of the most prestigious gastronomic universities in the world, with a groundbreaking Research and Innovation Center. 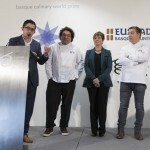 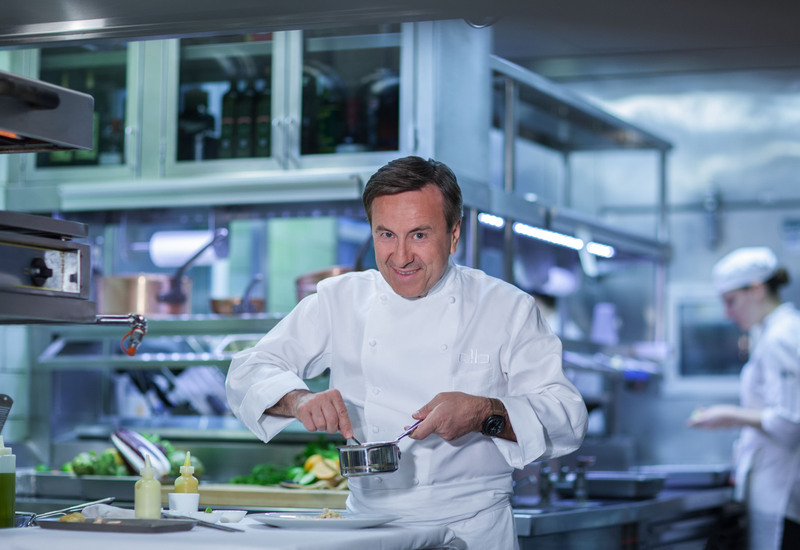 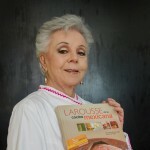 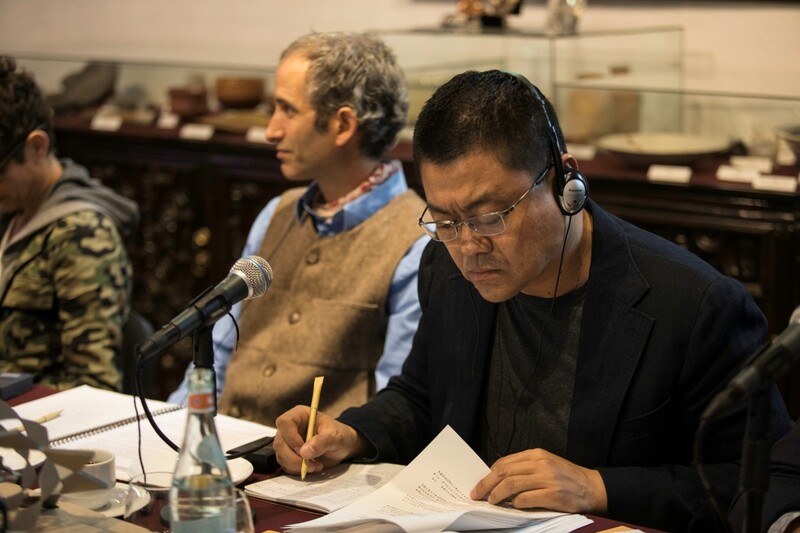 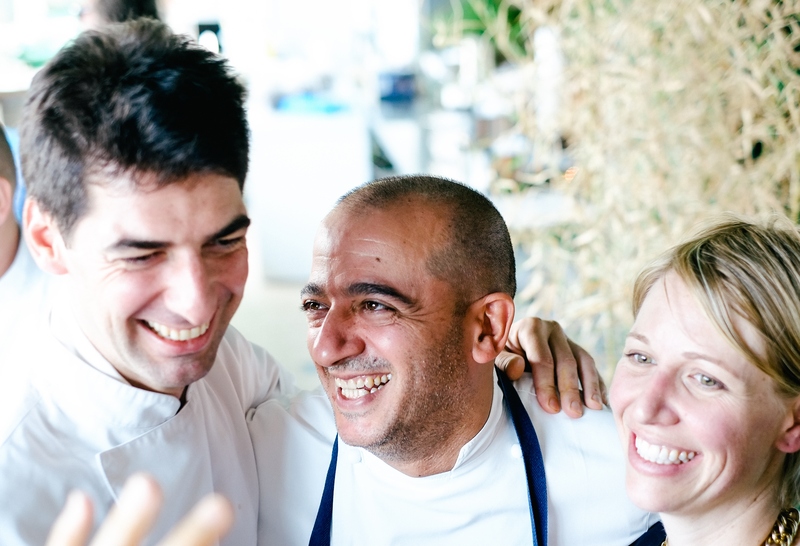 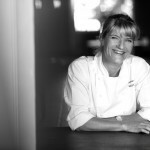 It was established in 2011 with the backing of some of the world’s most influential chefs to promote education, research and innovation in gastronomy. 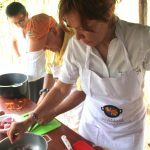 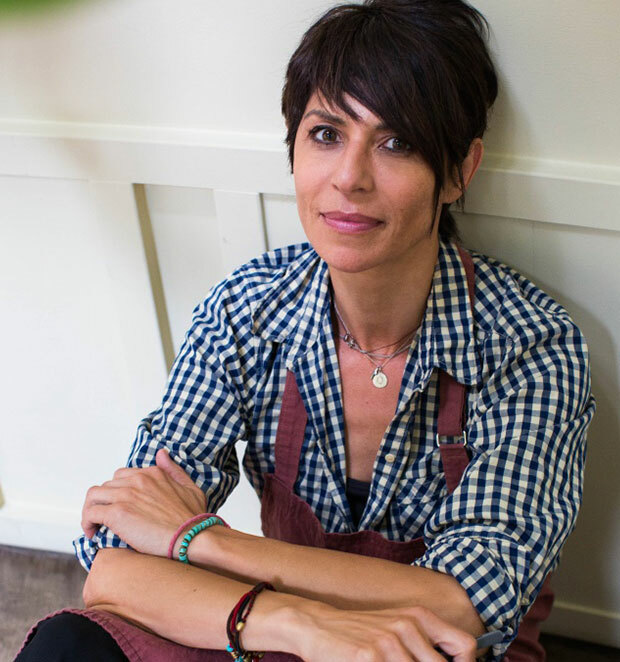 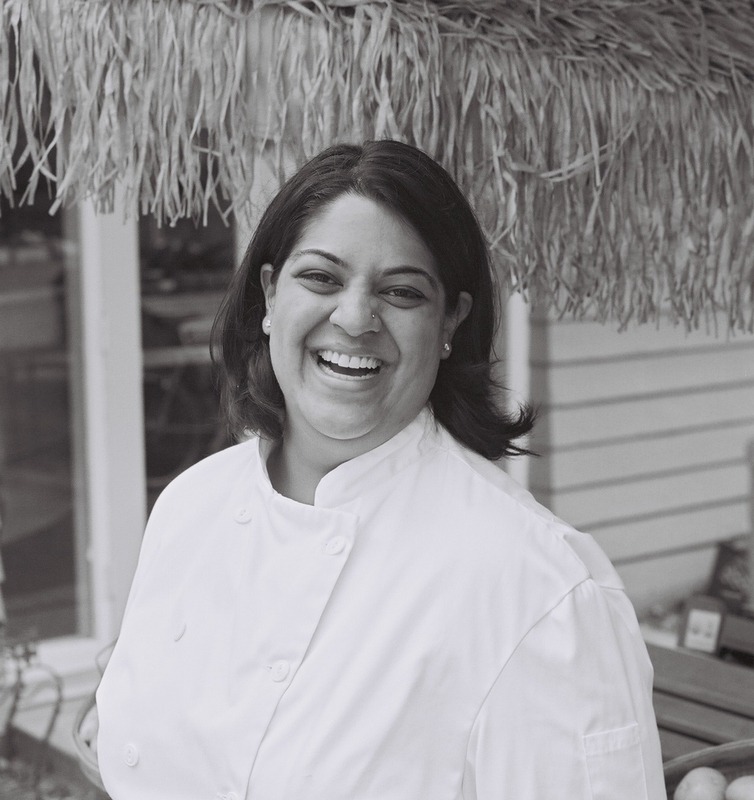 BCC wants to change the conversation about the factors that make up a good chef and contribute to a deeper understanding of what cooking is about. 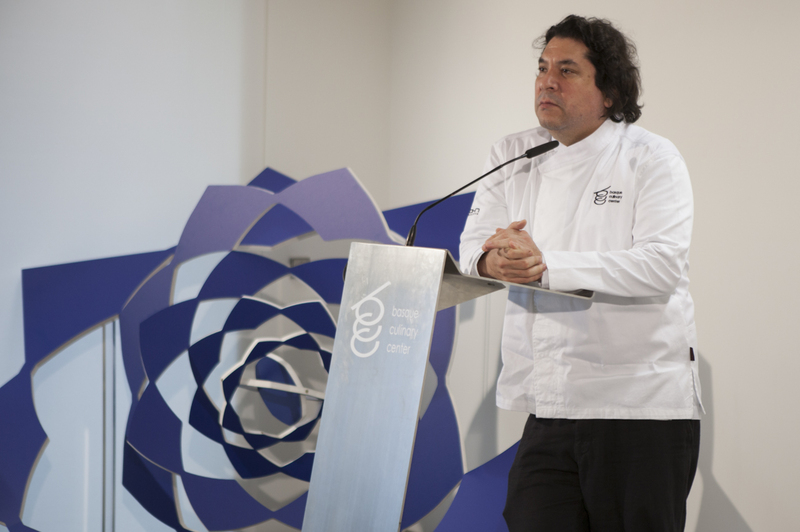 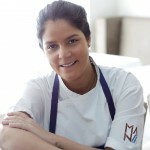 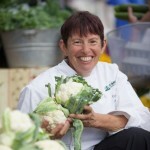 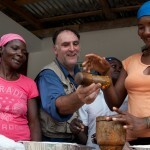 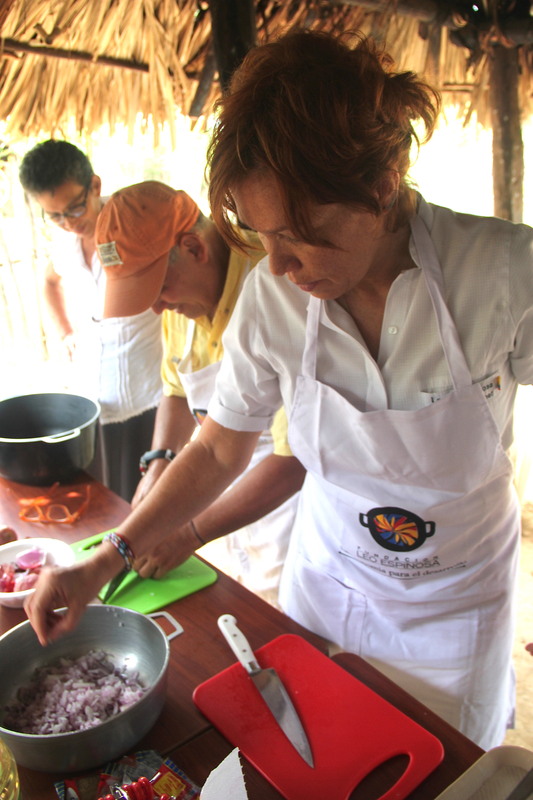 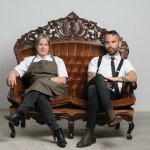 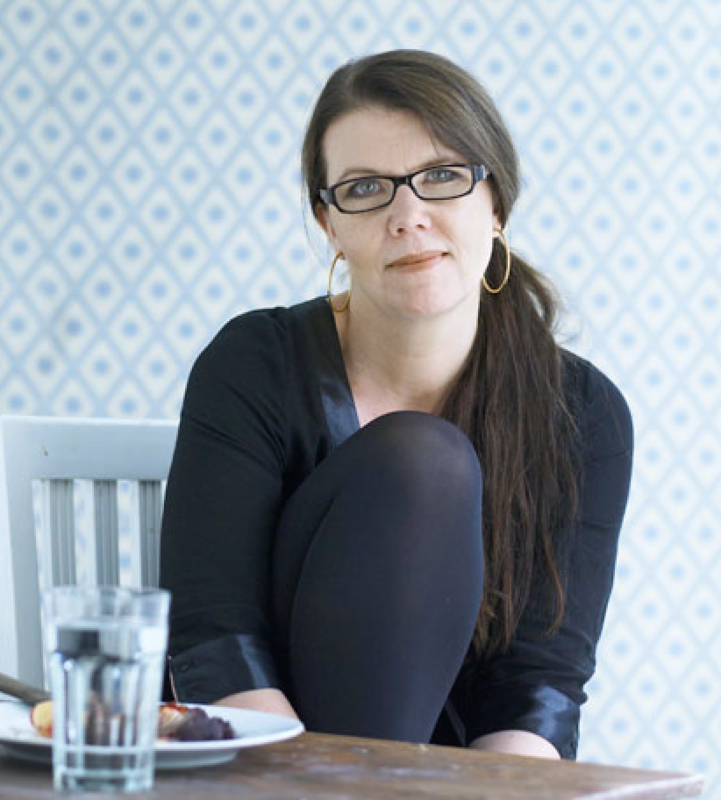 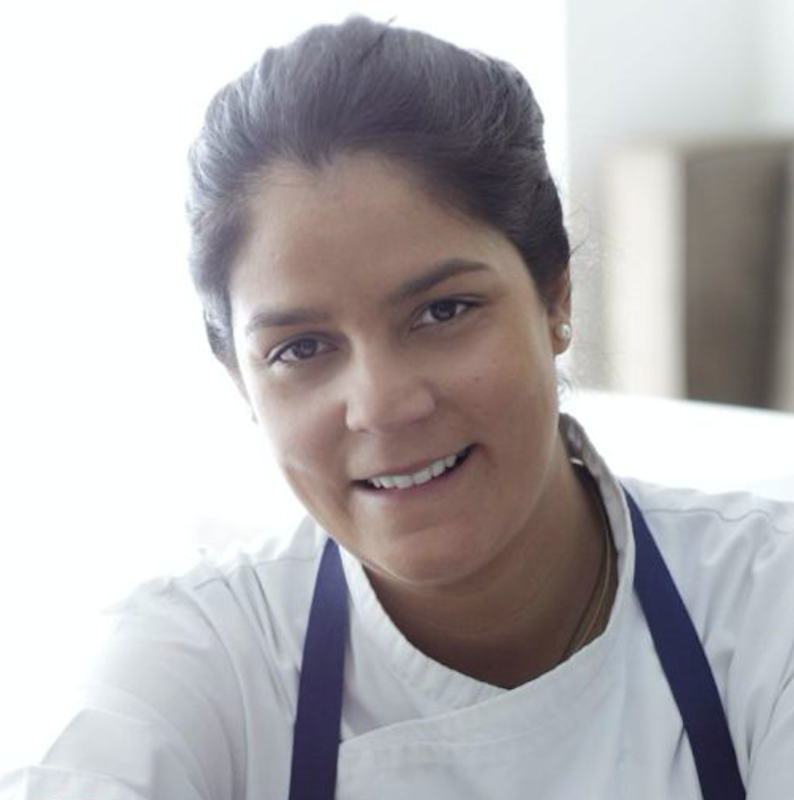 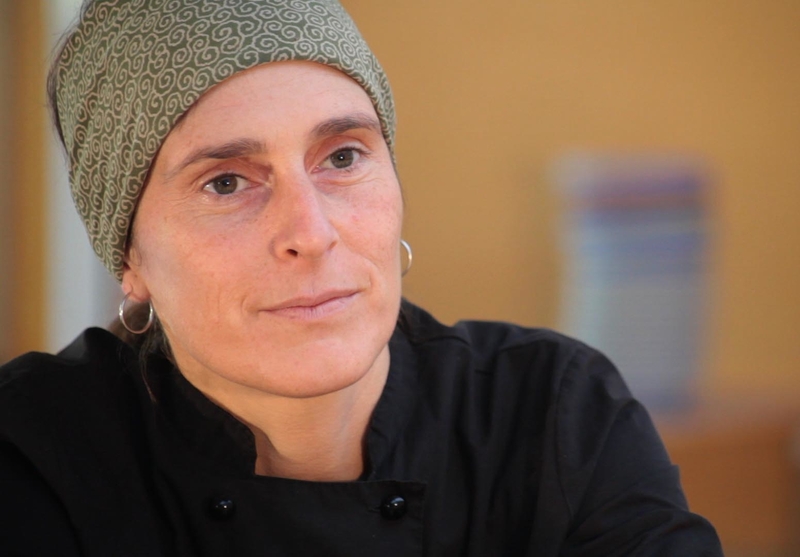 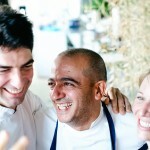 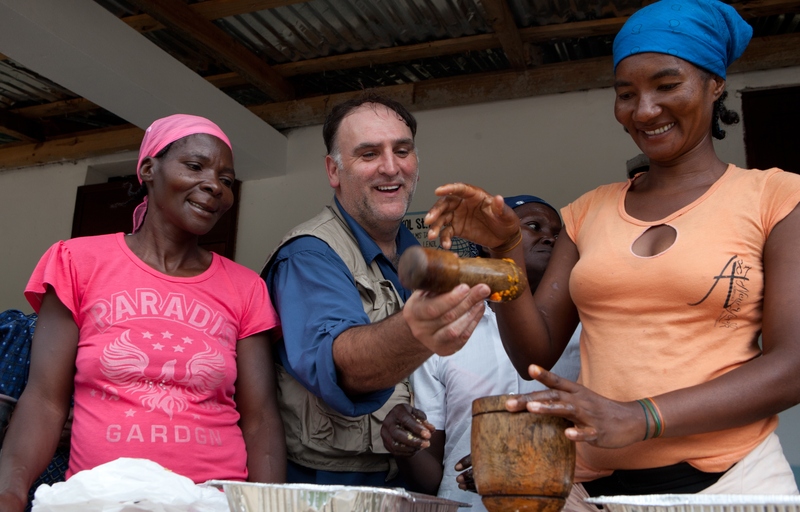 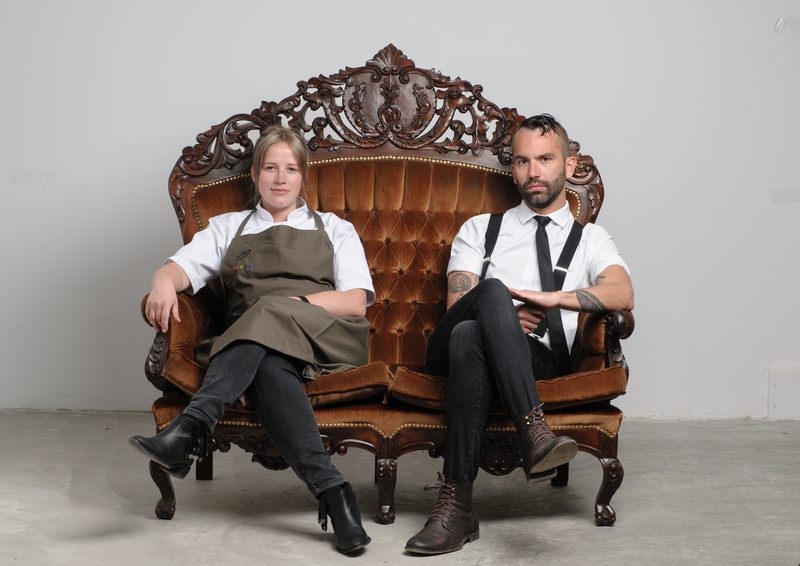 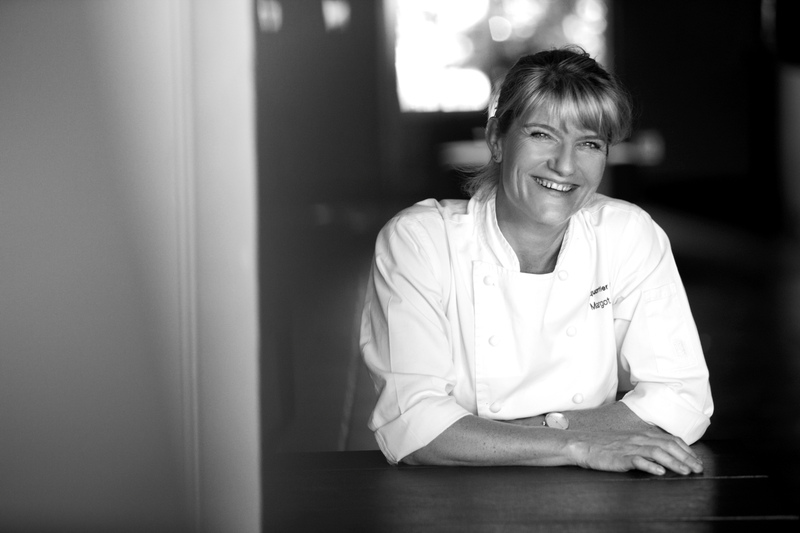 It seeks to draw attention to the way that chefs are using gastronomy to improve society. 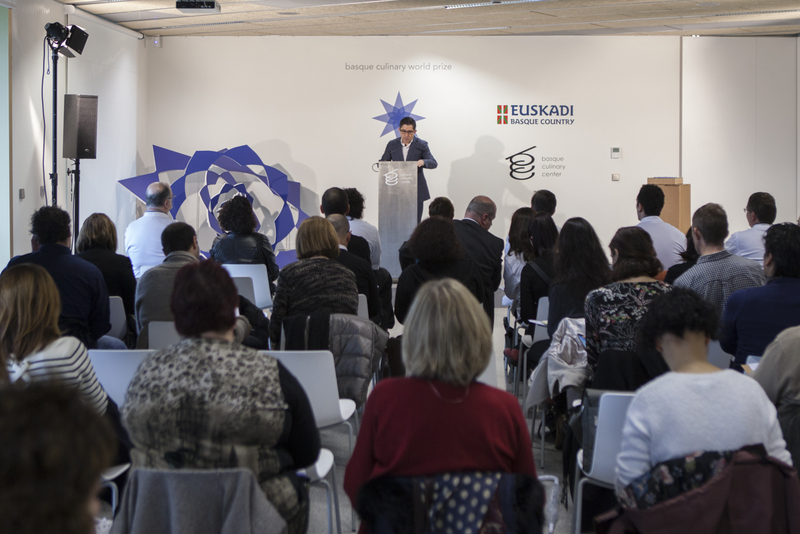 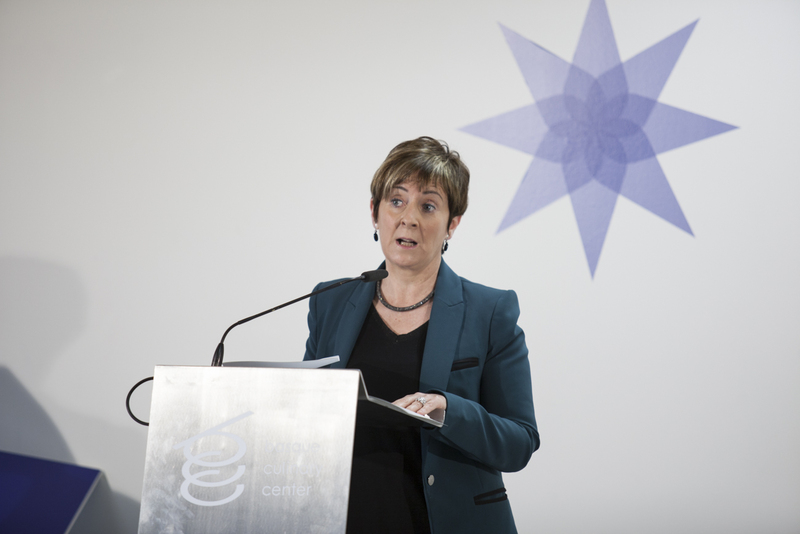 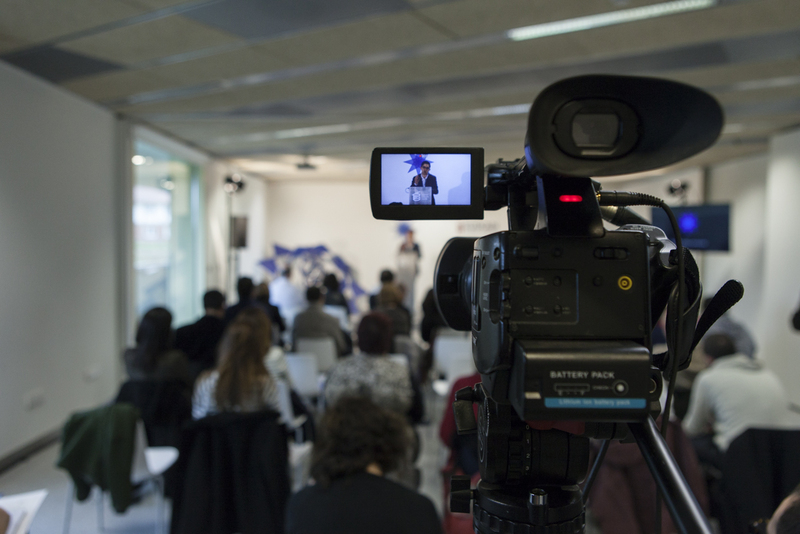 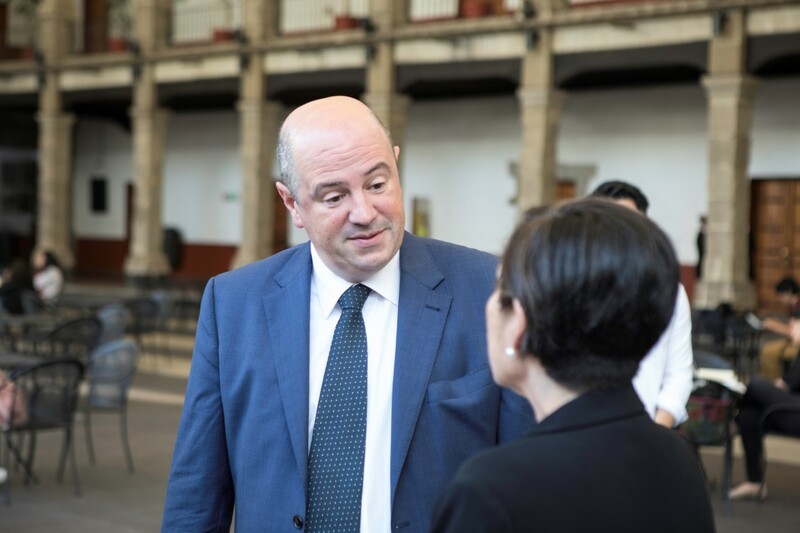 Basque Government is interested in promoting social inclusiveness, innovation and innovation around the world. 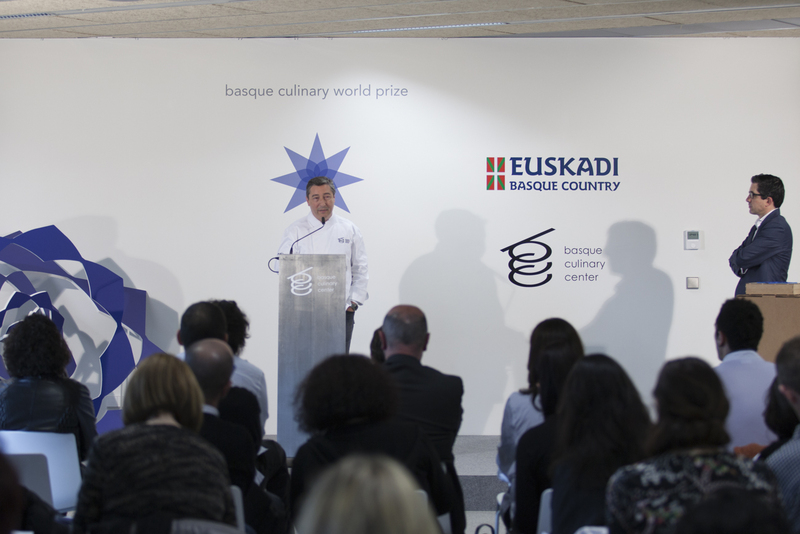 Together with gastronomy, these are values of the prize that are already closely associated with the Basque Country – values we want to celebrate through the prize. 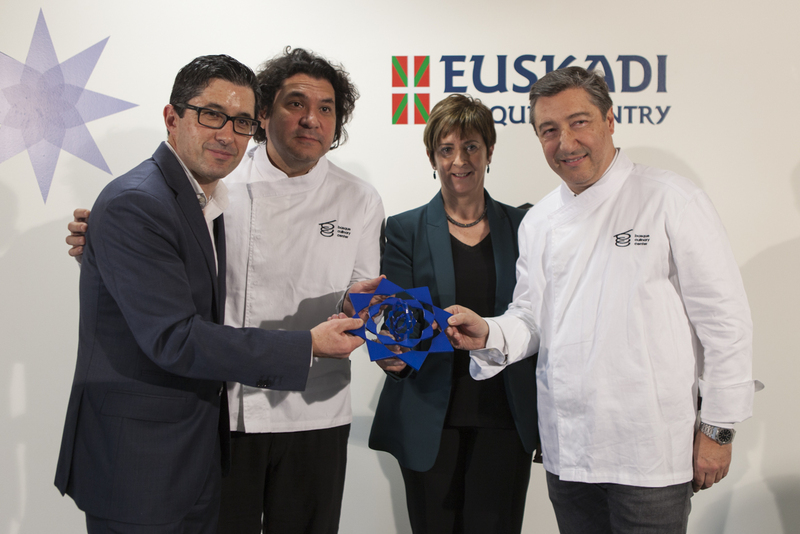 The launch of this award in Euskadi reiterates the spirit of this region, while providing new reasons to trust that it is an outstanding gastronomic destination, which never tires of giving more and better reasons for the visit and the enjoyment. 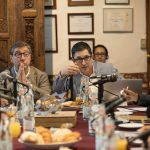 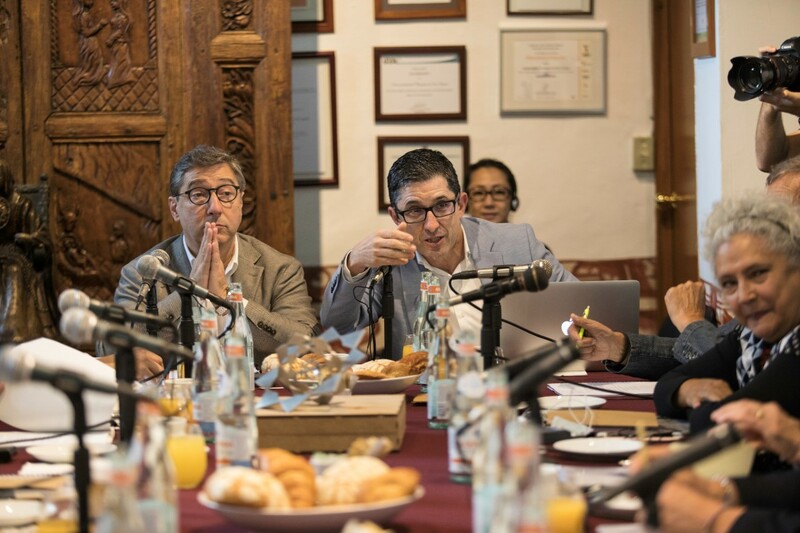 An interdisciplinary group of experts analyzes the candidate profiles and chooses 10 finalists based on their work in areas such as culinary innovation, health, nutrition, education, the environment, the food industry, social or economic development, among others. 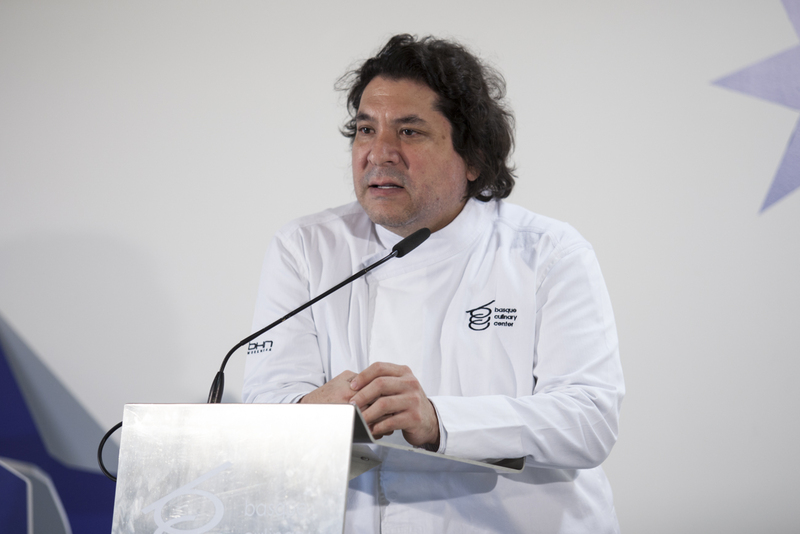 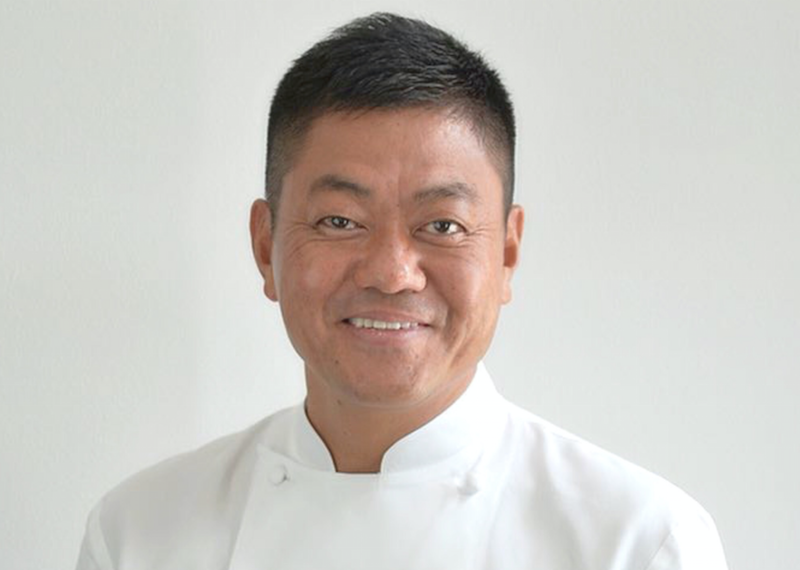 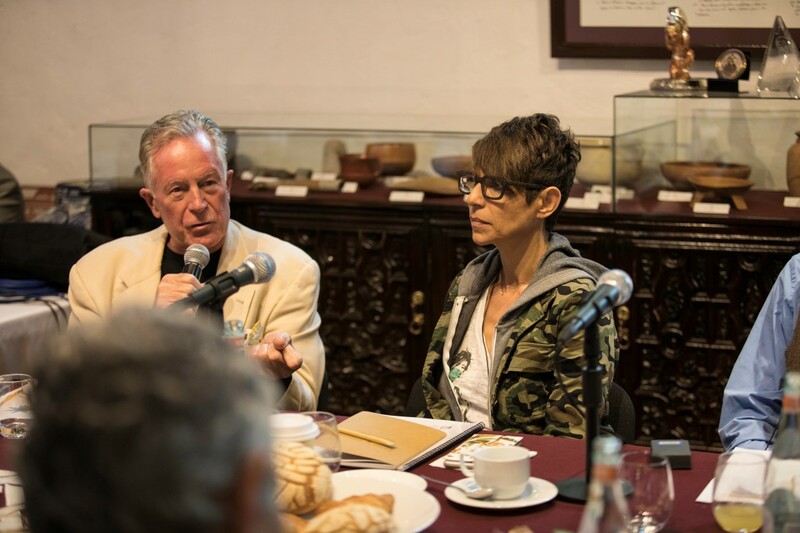 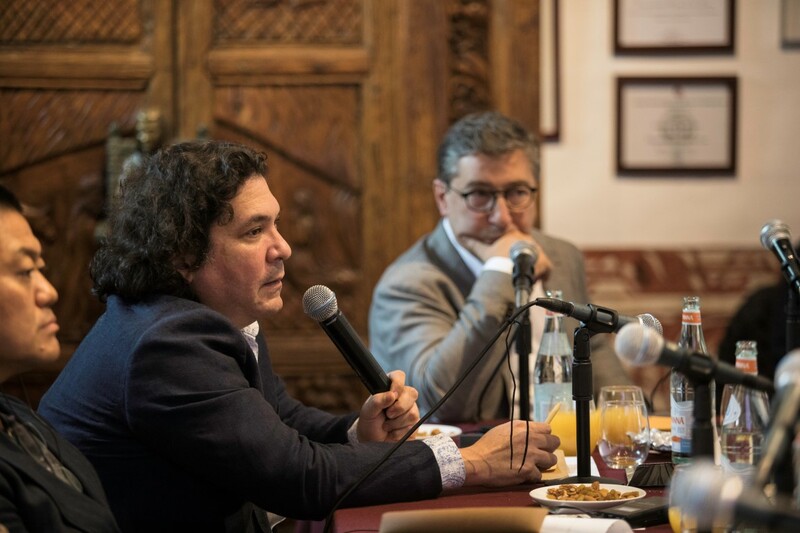 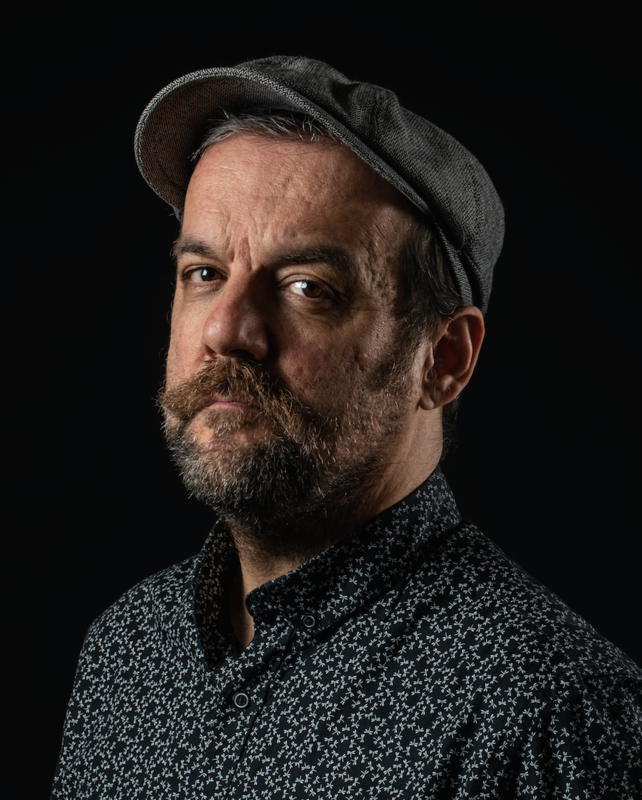 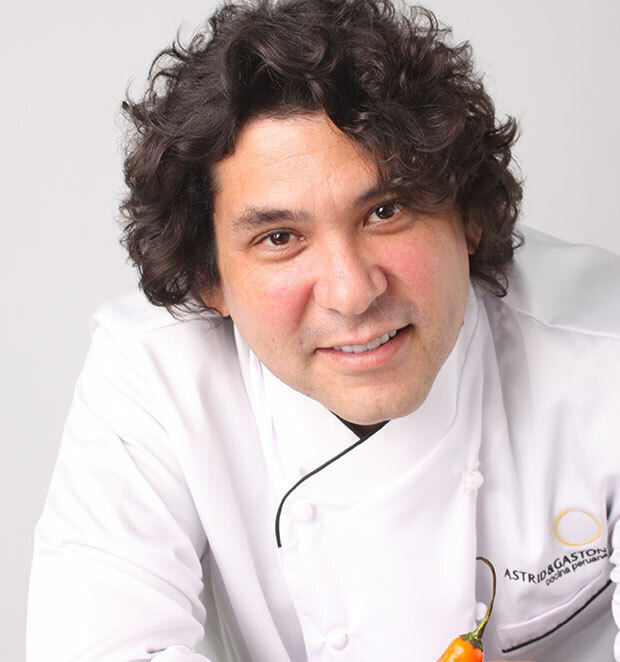 The members of the BCC International Council demonstrate the broad sphere of influence chefs can achieve when they transcend the conventional boundaries of their profession. 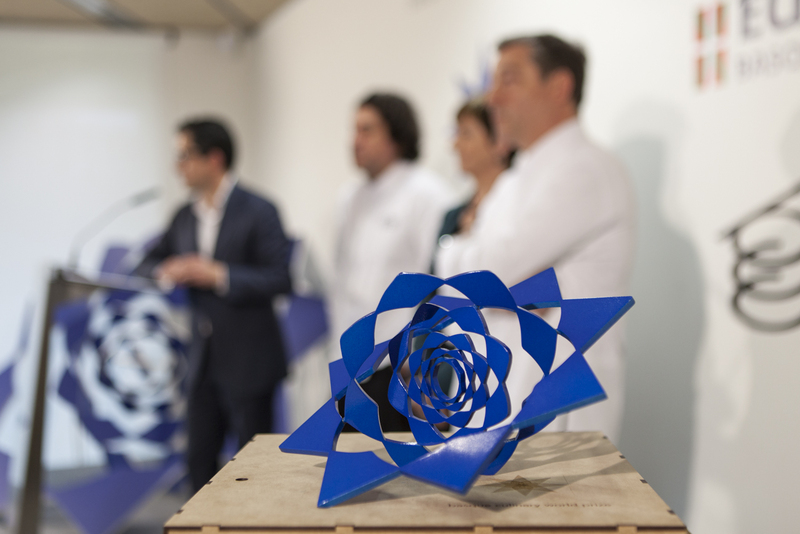 Thus, this group is charged with selecting the winner with the help of leading international experts, and they can not be nominate for the prize. 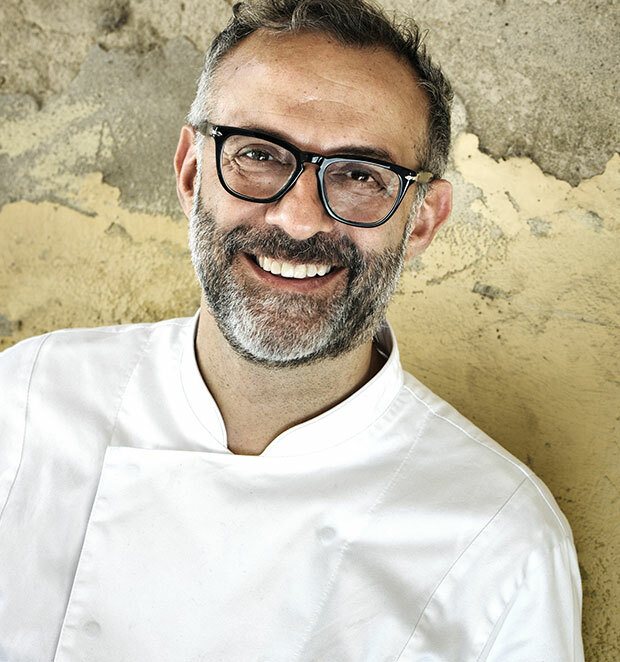 The International Council is formed by: Massimo Bottura (Italy), Joan Roca (Spain), Dan Barber (United States), Gastón Acurio (Peru), Ferran Adrià (Spain), Alex Atala (Brazil), Heston Blumenthal (United Kingdom), Michel Bras (France), Enrique Olvera (Mexico), Rene Redzepi (Denmark), Dominique Crenn (France/United States), Yoshihiro Narisawa (Japan) and Trine Hahnemann (Denmark). 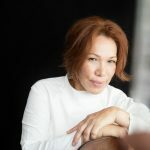 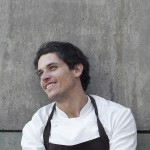 This Scottish chef is undertaking the task of preserving the memory of native peoples of Australia through their food. 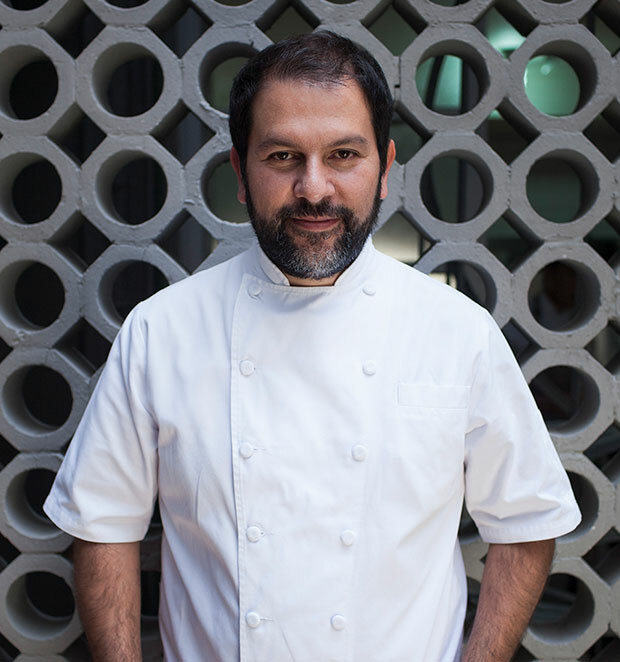 He has dedicated the last 17 years to discovering and defending this aborigine culture, excluded from the national culinary identity. 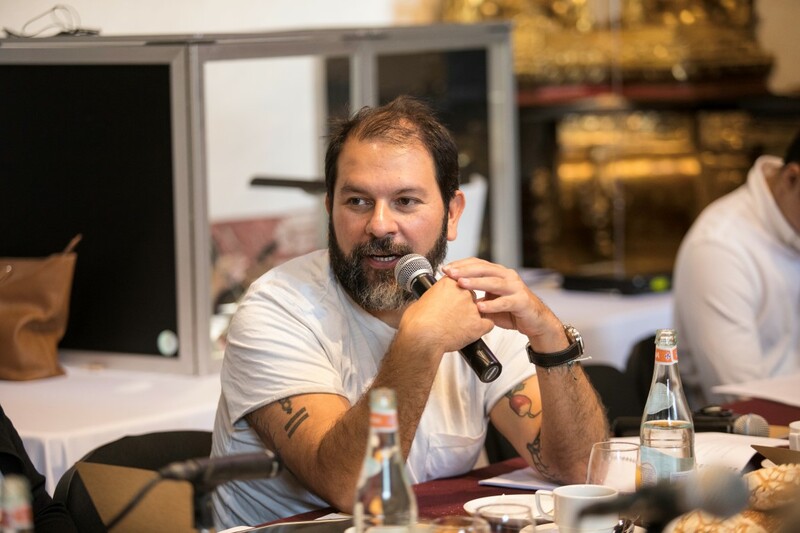 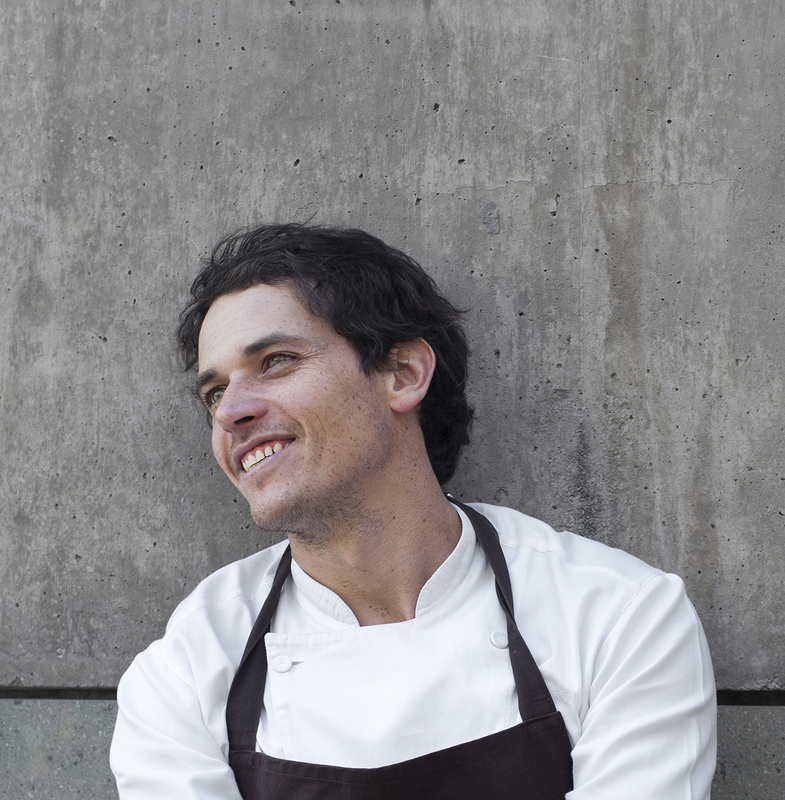 During this time, he has visited hundreds of remote communities and documented the gastronomic riches that its inhabitants have shared with him, researching and experimenting in his Orana restaurant (recognized as Australia’s Restaurant of the Year 2017 by Gourmet Traveller) and using his media influence and international voice to show the potential that this culinary knowledge offers. 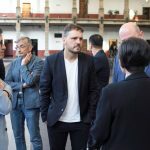 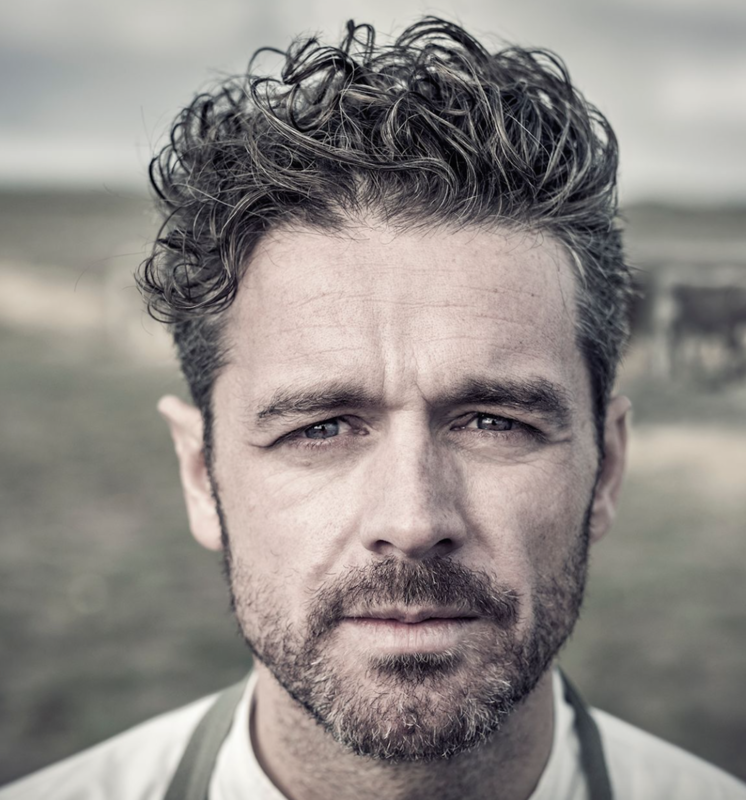 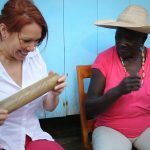 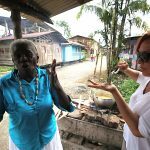 In 2016 Zonfrillo launched the Orana Foundation, whose objectives range from supporting indigenous communities in the production and fair marketing of their products to the documentation of more than 10,000 native ingredients and the investigation of new uses. 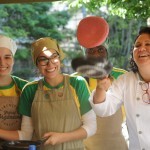 A pioneering academic institution for a pioneering prize. 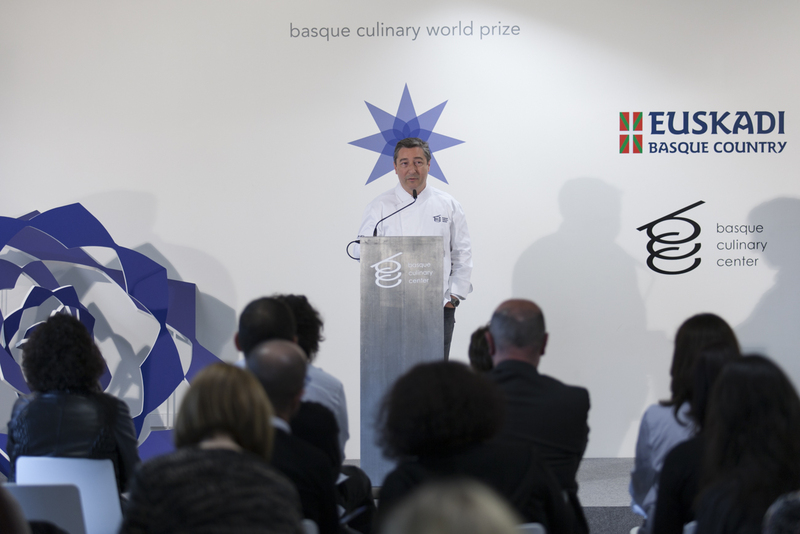 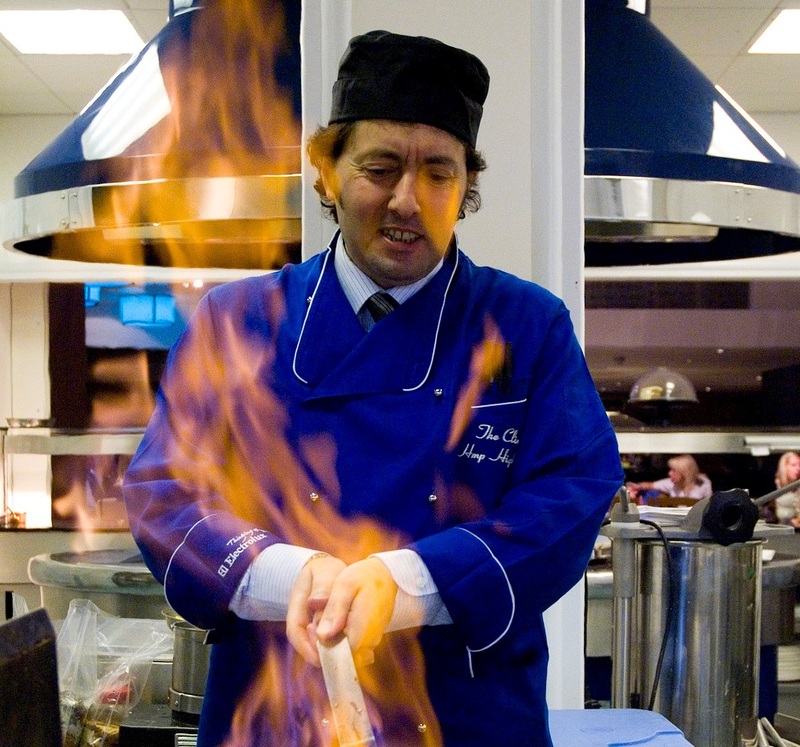 The Basque Culinary Center (BCC) is a pioneering academic institution created in 2011 with the support of Mondragon University and seven top Basque chefs, including Juan Mari Arzak, Pedro Subijana and Andoni Luis Aduriz. 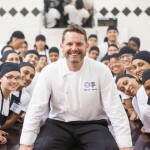 Located in one of the world’s major gastronomic capitals, the institution is in a unique position to bring together a wealth of talent. 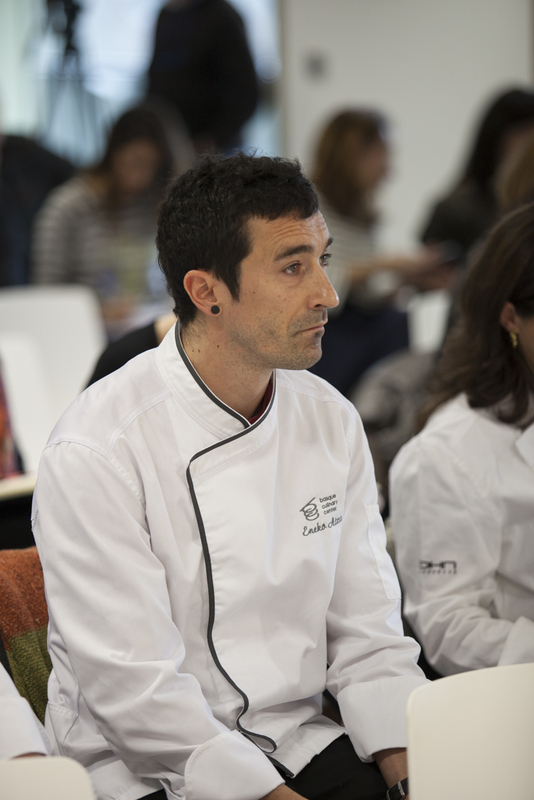 Courses encompass higher education, research, innovation and the promotion of gastronomy and nutrition. 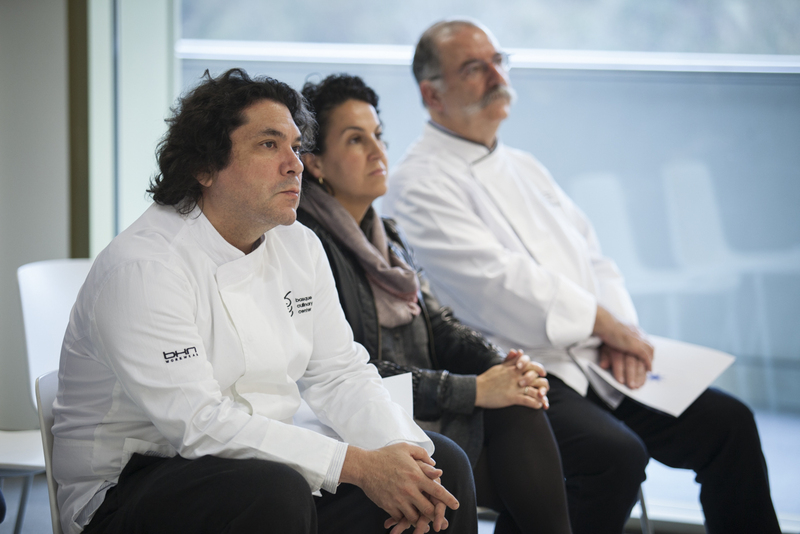 The BCC’s mission is to become the benchmark in their field, as well as to highlight the impact the modern chef can have on their profession, culture, community and the wider world. 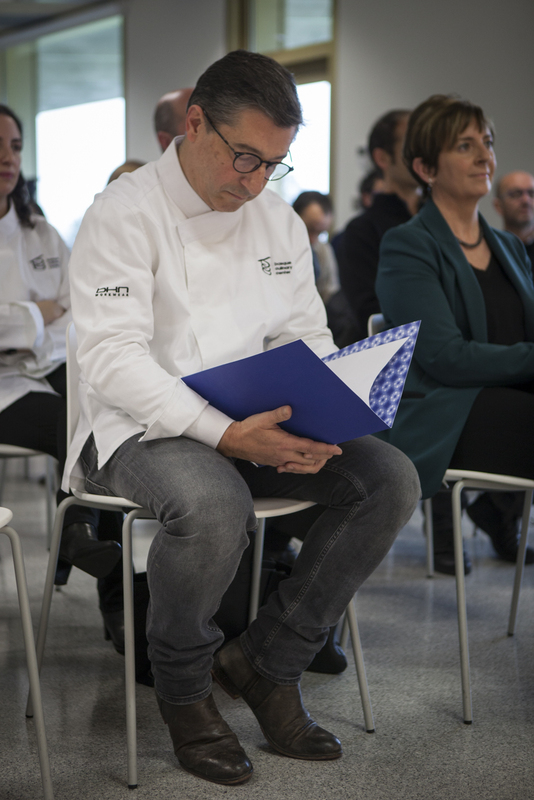 From the very start, it has been backed by some of the most influential chefs in the world who now form our International Council chaired by Joan Roca (Spain); with Gastón Acurio (Peru), Ferran Adrià (Spain), Alex Atala (Brazil), Dan Barber (US), Heston Blumenthal (UK), Massimo Bottura (Italy), Michel Bras (France), Dominique Crenn (US), Yoshiro Narisawa (Japan), Enrique Olvera (Mexico) and René Redzepi (Denmark). 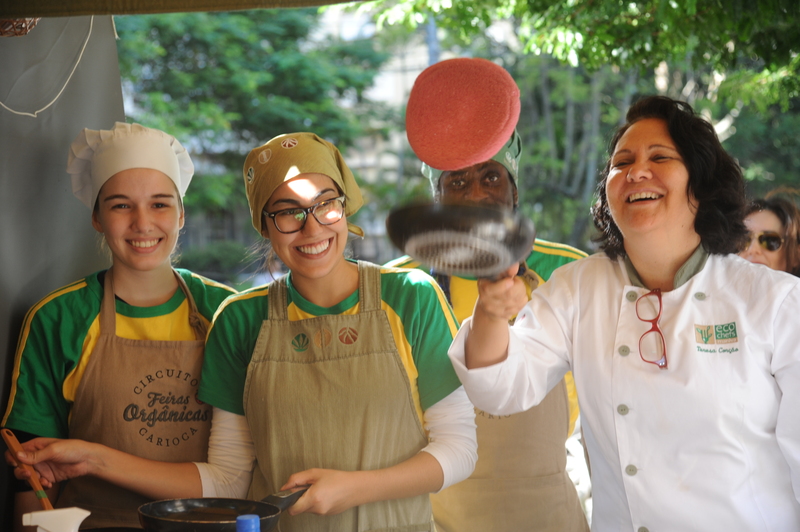 The BCC shares with them the sense of vocation that links cuisine to other disciplines, and that same desire to make a positive contribution to the community through concrete actions. 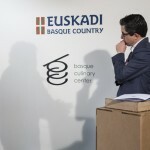 Euskadi is a land privileged by its gastronomic resources. 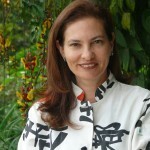 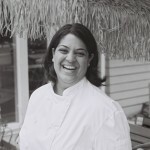 Uniquely, it has been the cradle of many important movements and figures in the history of contemporary global cuisine. 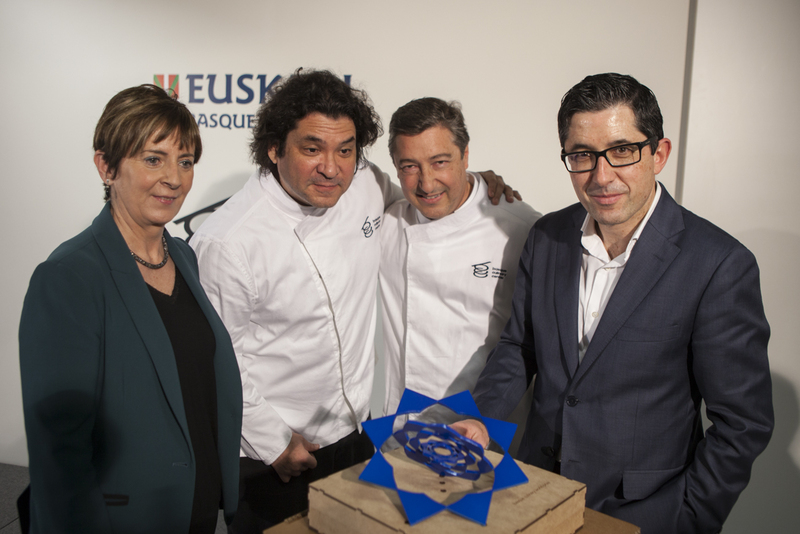 Although firmly rooted in its traditions, Basque cuisine has always known how to mix tradition with innovation. 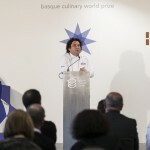 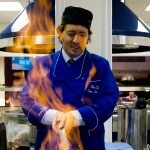 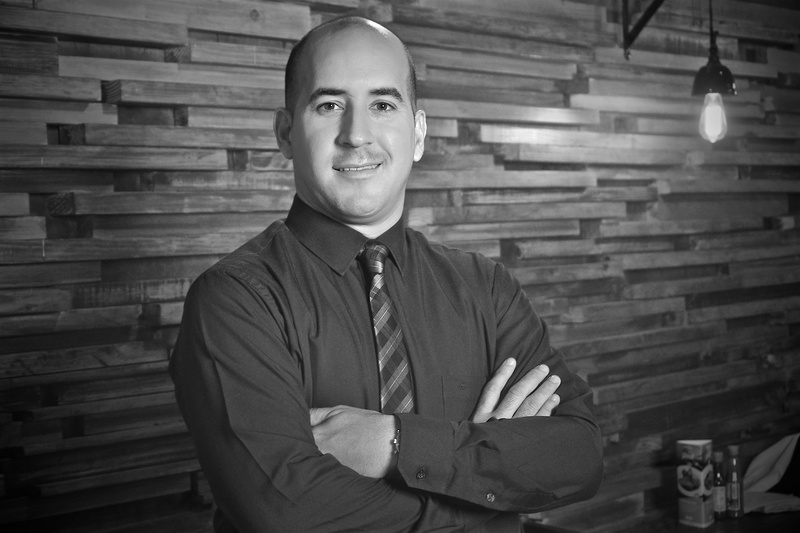 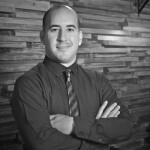 It has established trends and become a source of inspiration for other global models of fine dining. 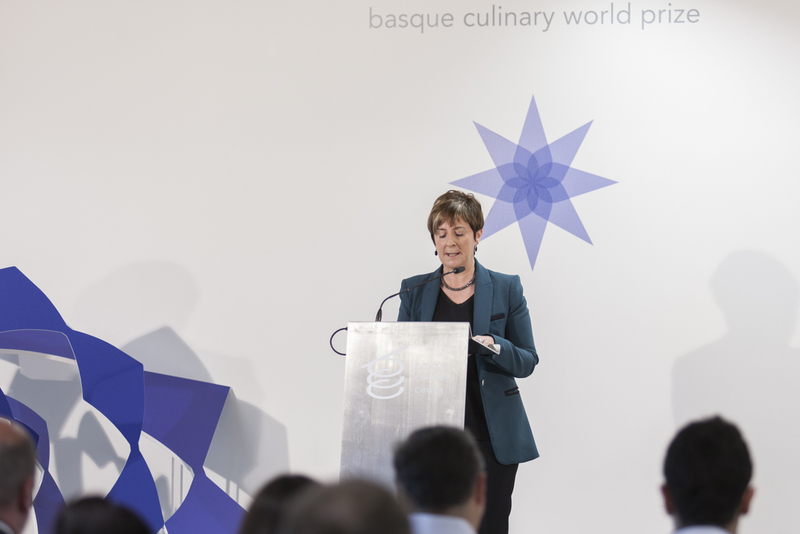 The pleasure of eating and drinking, respect for local produce, and a love for creativity, innovation and collaboration are the remarkable characteristics of the Basque people that set them apart. 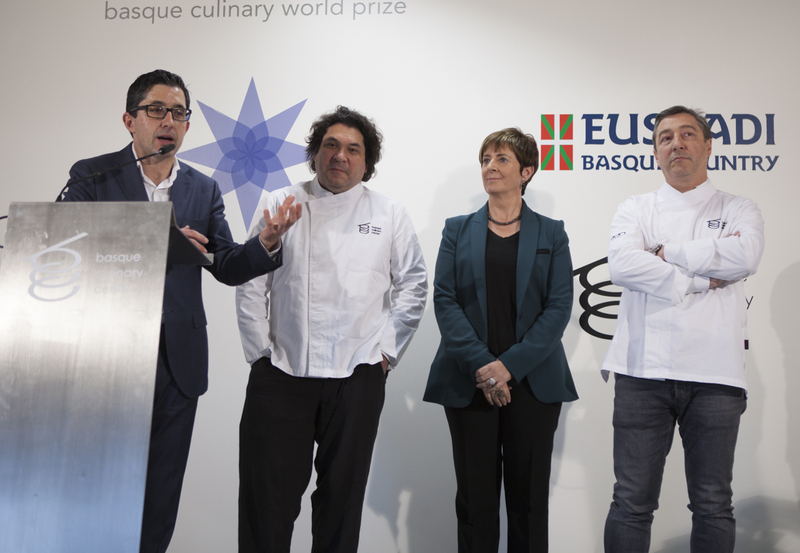 It is no coincidence that this is the region with more Michelin stars per capita, and with some of the most interesting and influential culinary offerings. 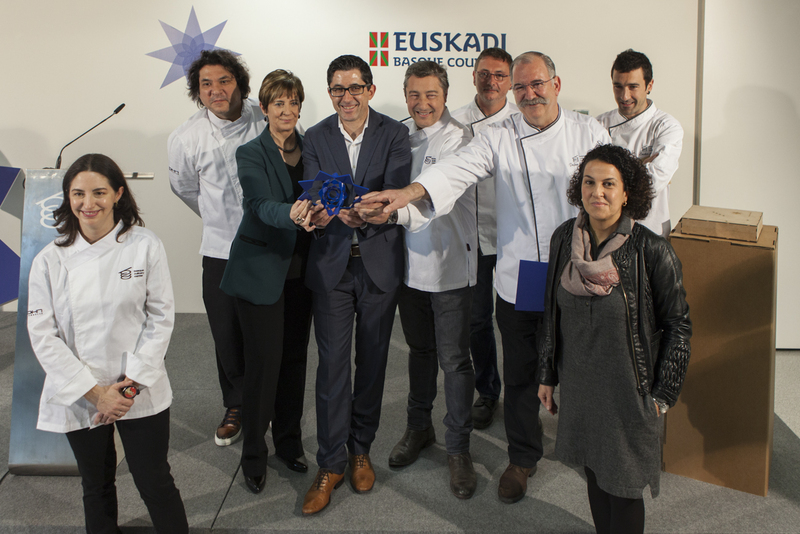 With an exceptional combination of sea, mountains and fertile valleys – beautiful spaces ideally suited to gatherings – and the people’s untiring devotion to culinary excellence, Euskadi is an ideal place to host such an innovative award. 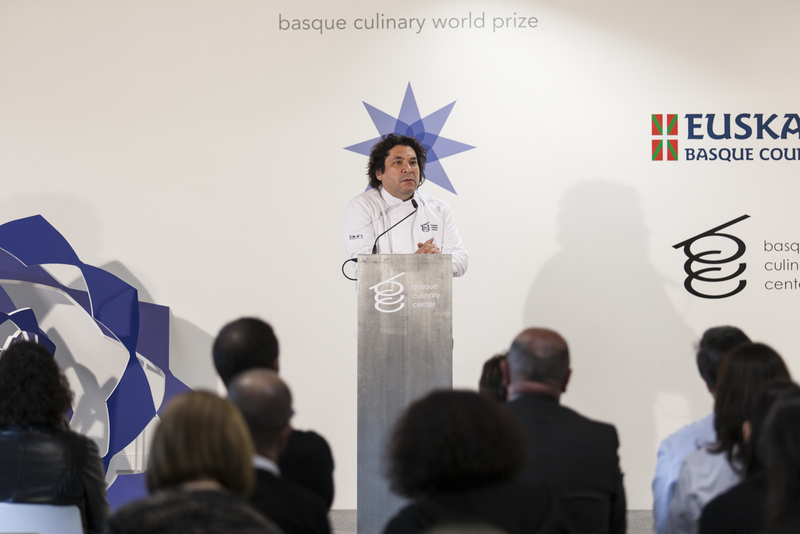 Through the Basque Culinary World Prize, these values: quality, excellence and a ‘talent for transformation’ – will be celebrated.